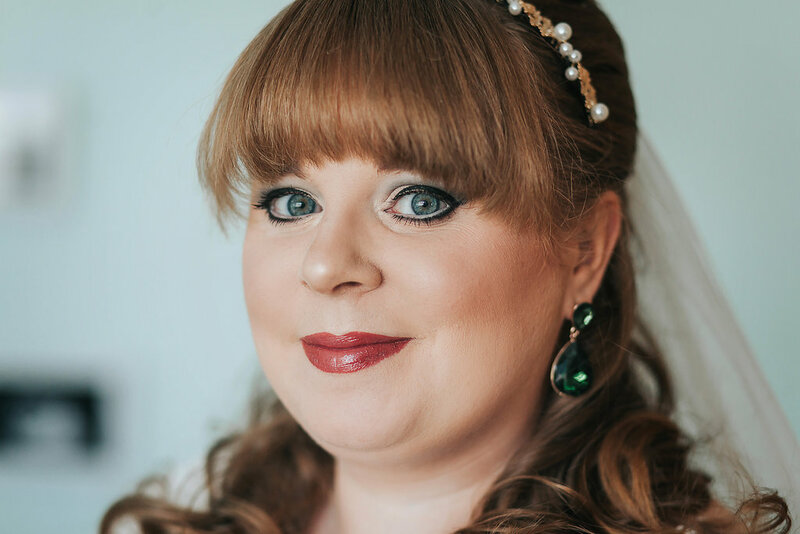 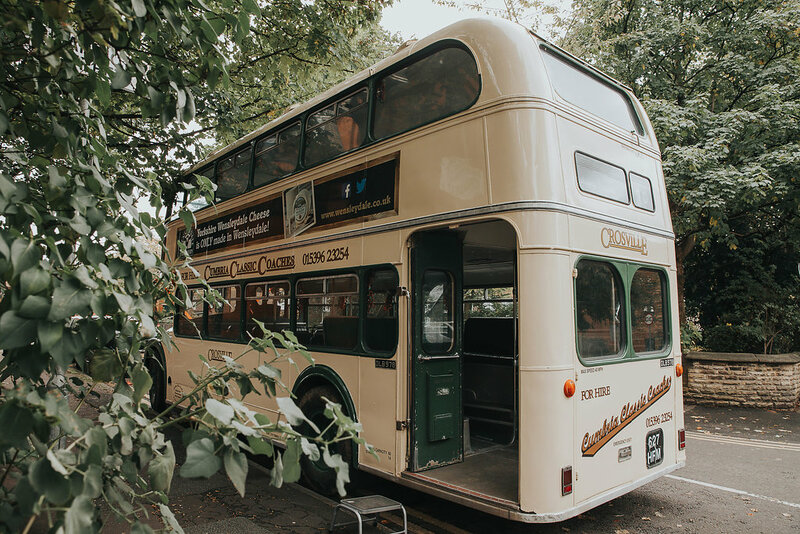 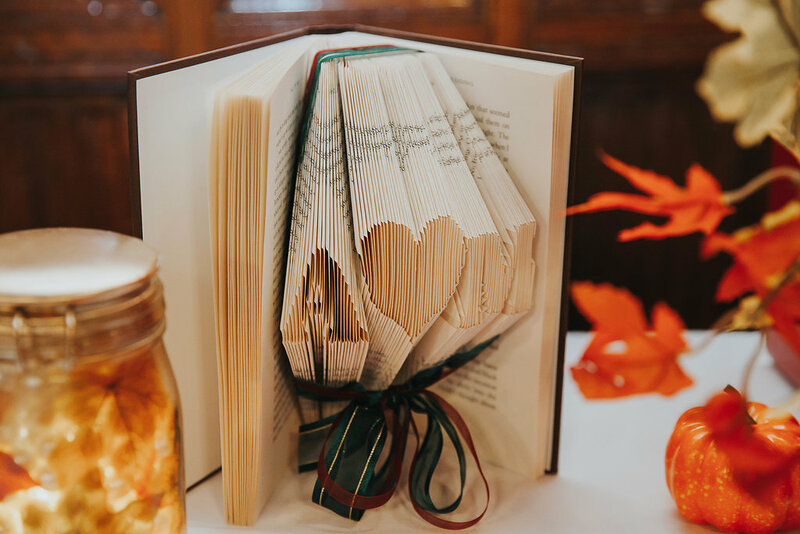 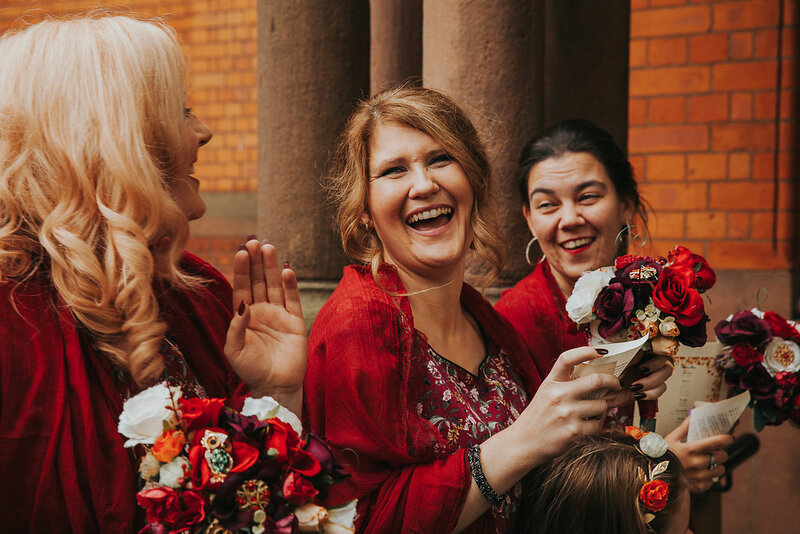 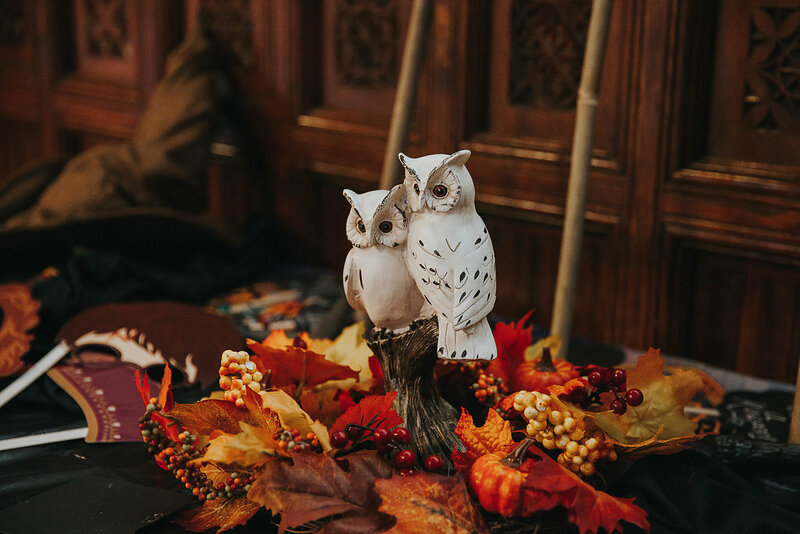 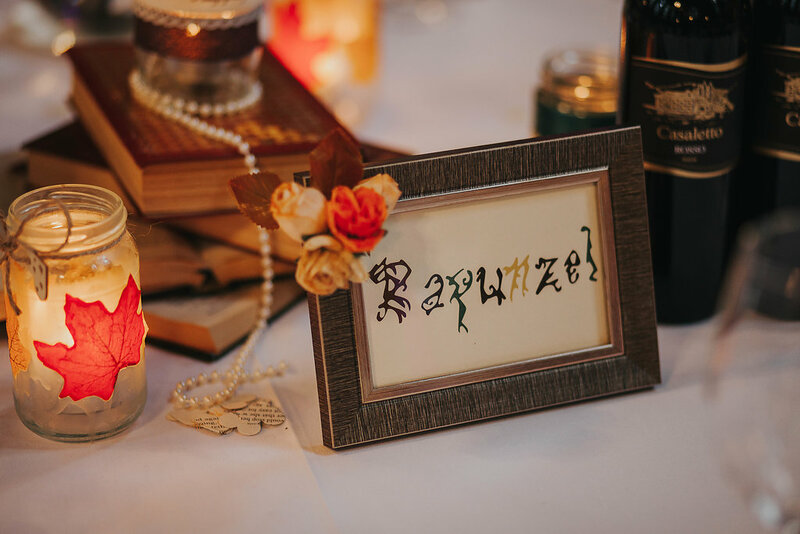 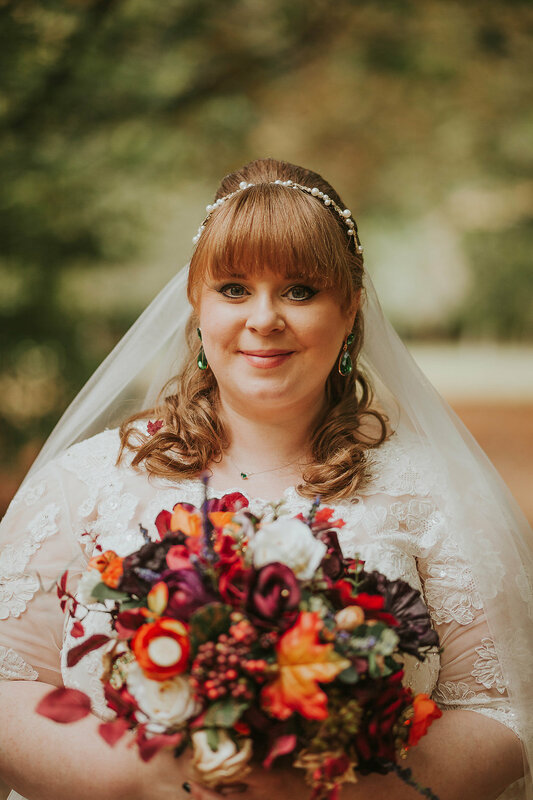 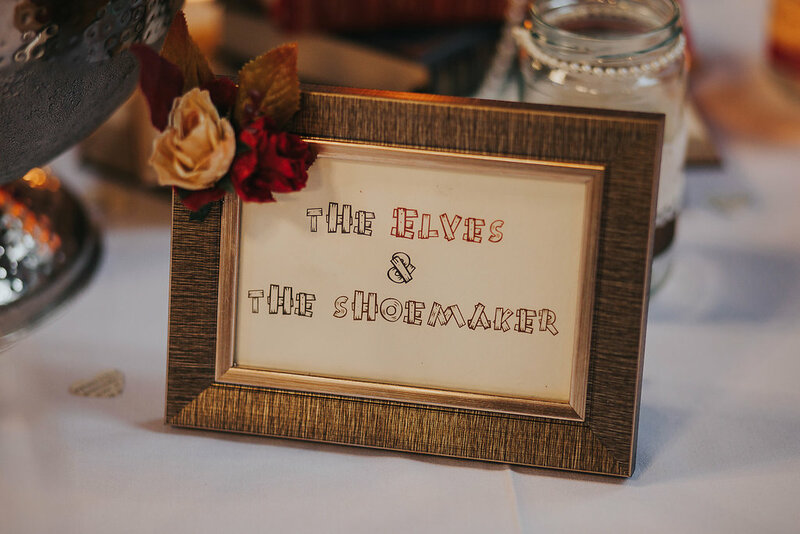 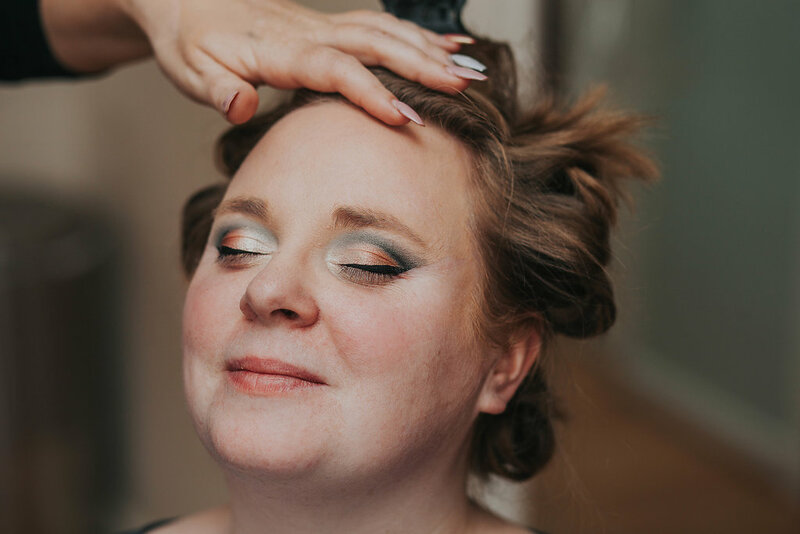 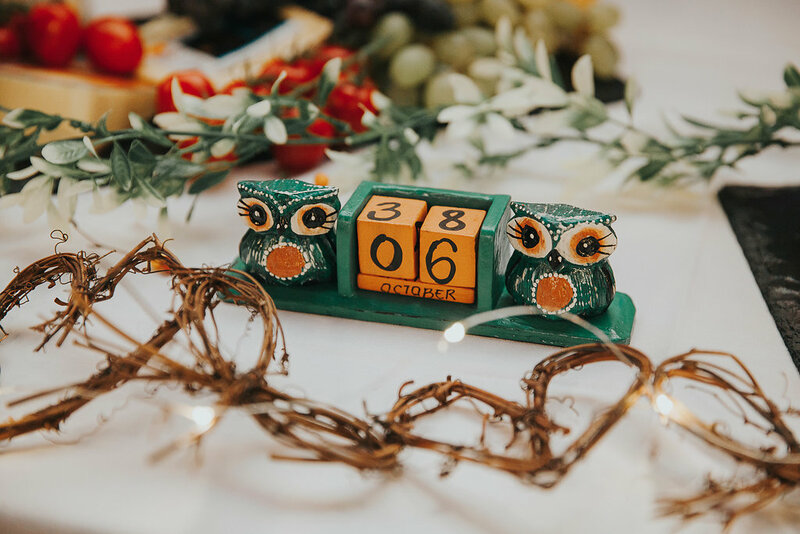 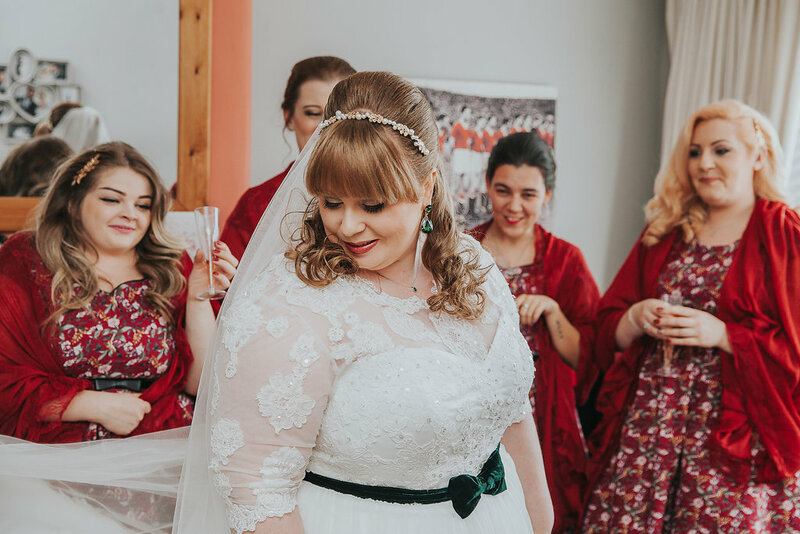 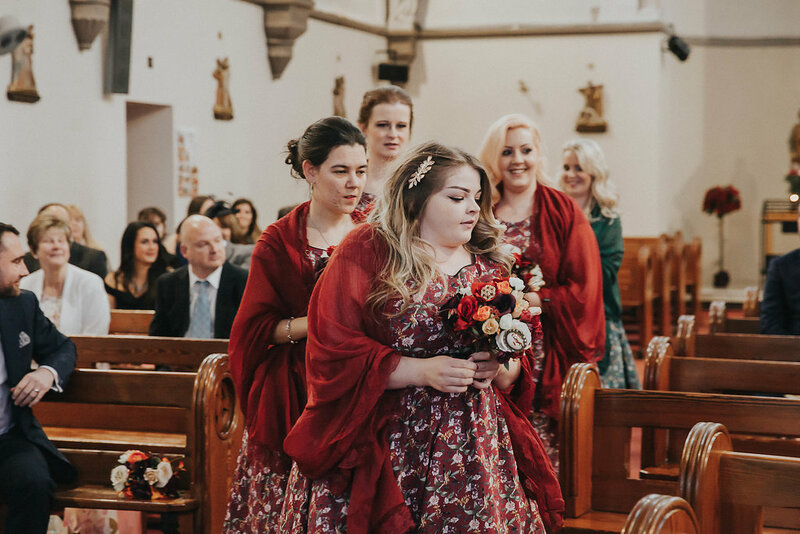 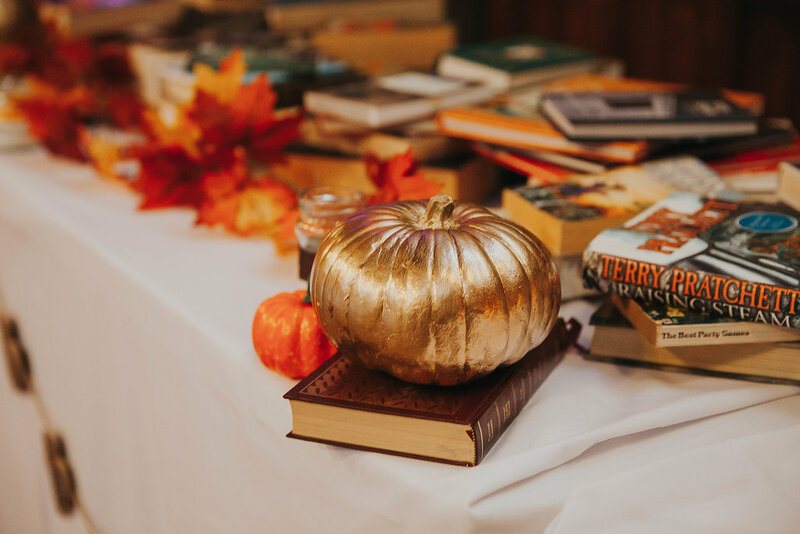 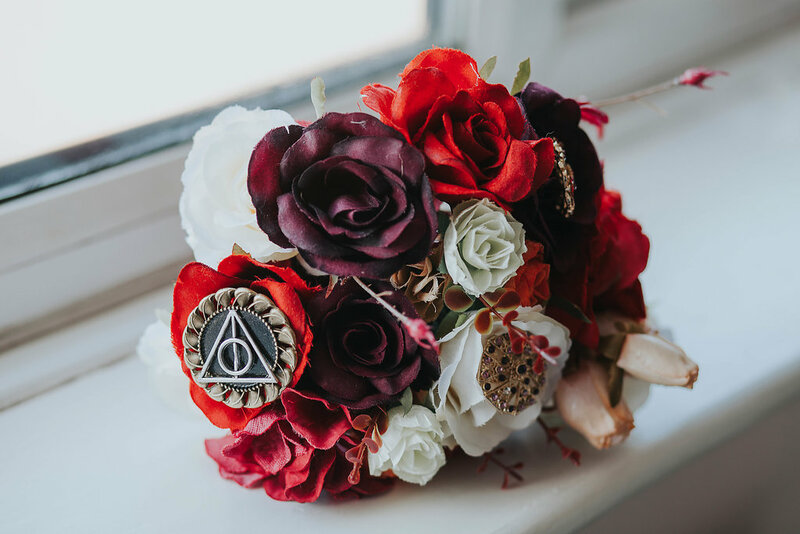 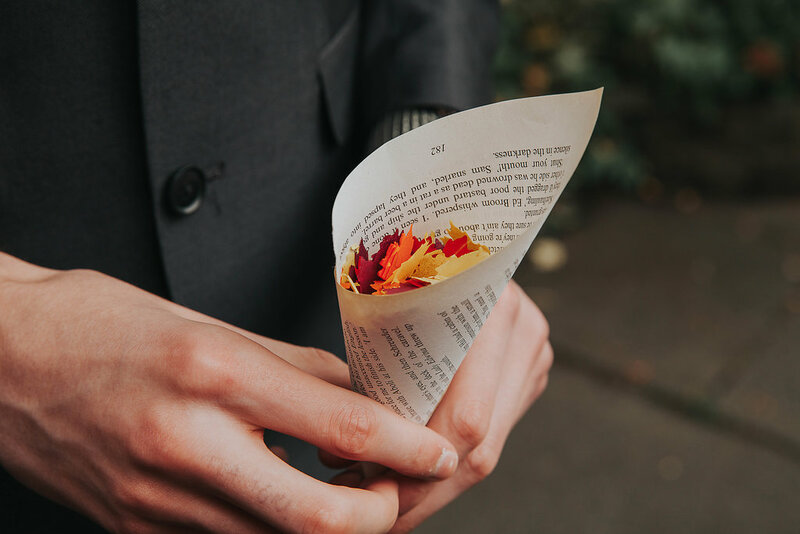 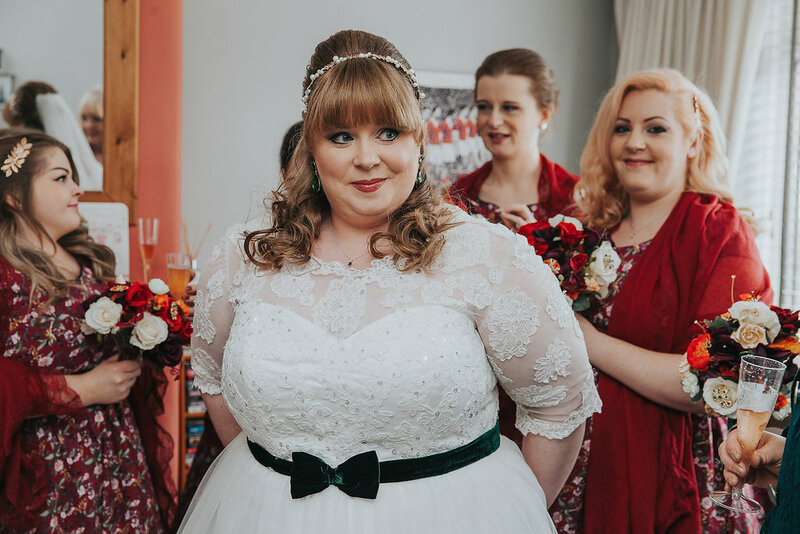 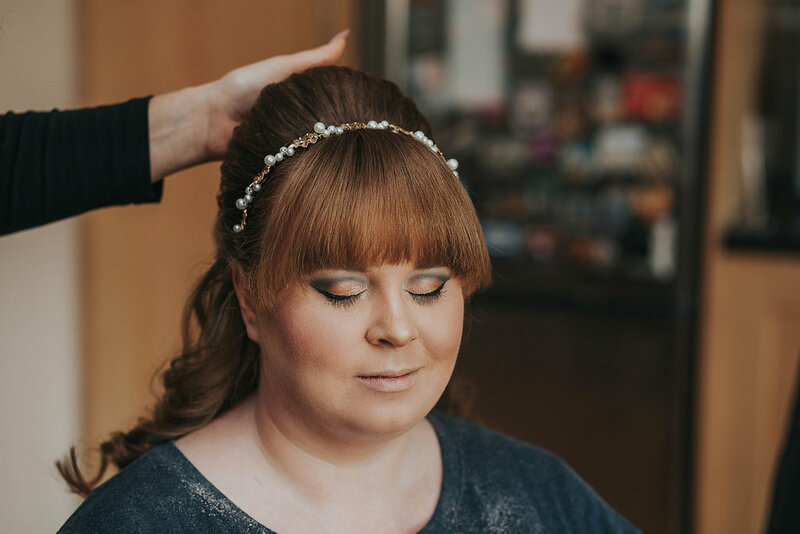 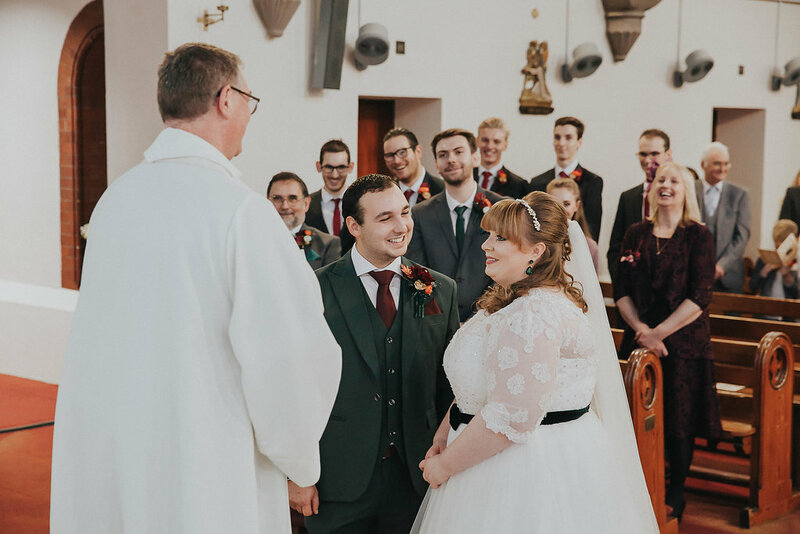 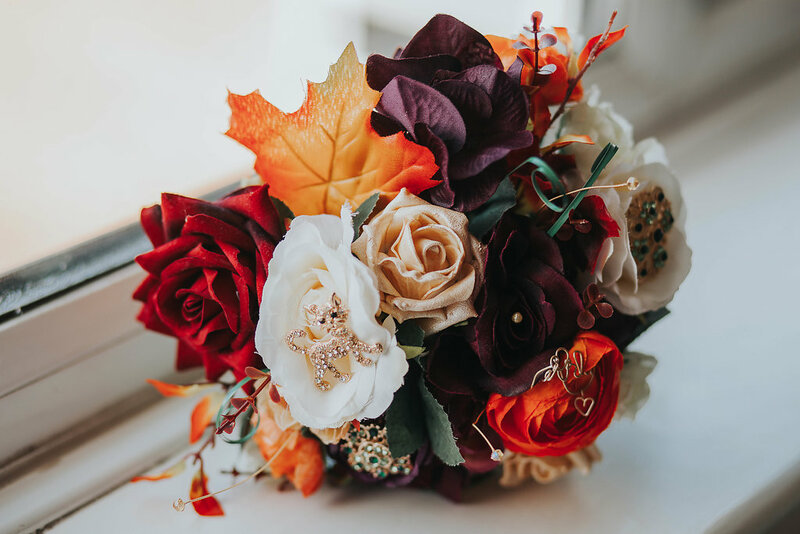 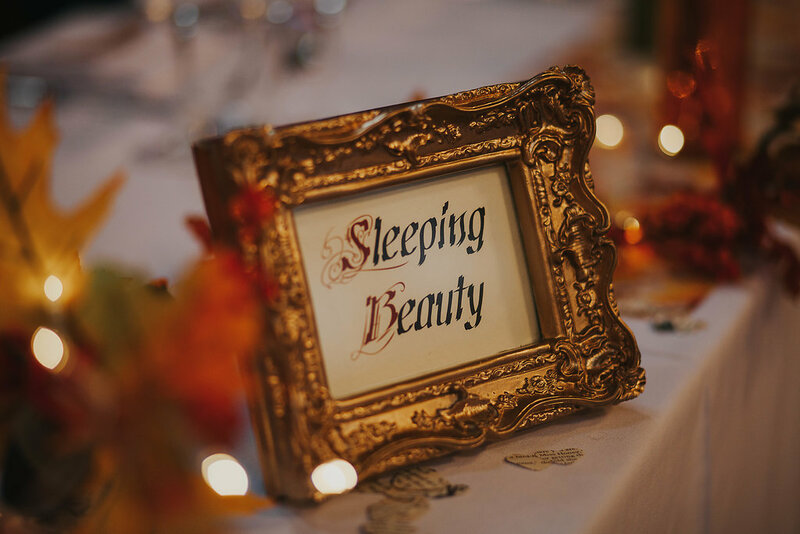 Today I am excited to share this stunning Autumnal Literary inspired Wedding with Harry Potter and Brothers Grimm Fairytale details. 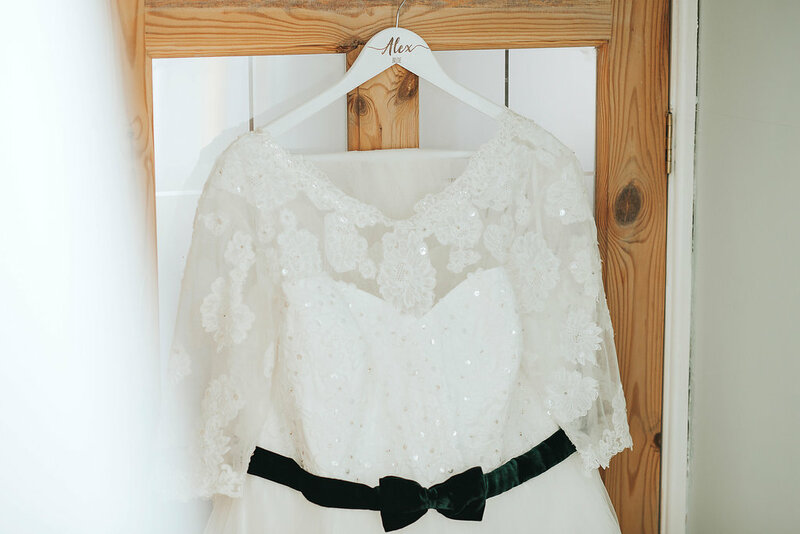 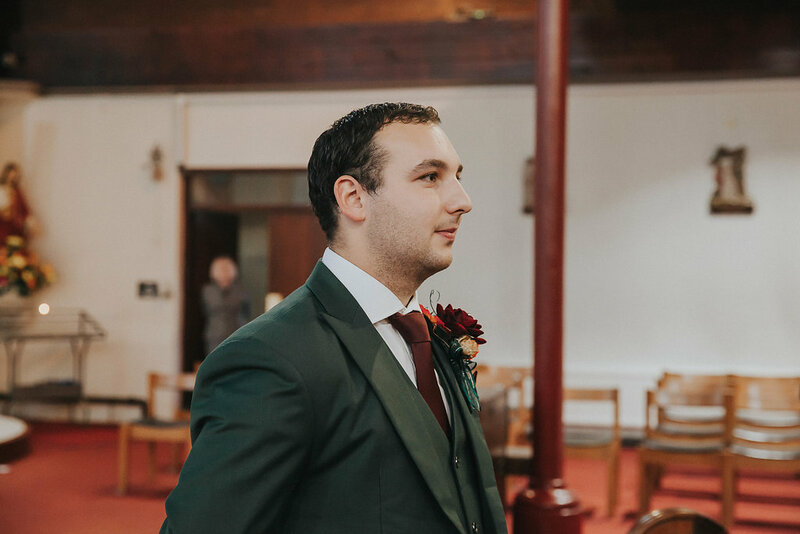 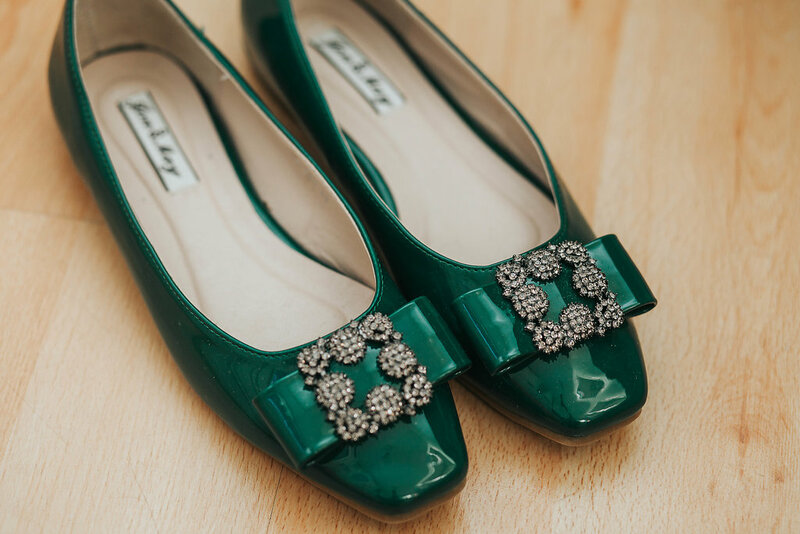 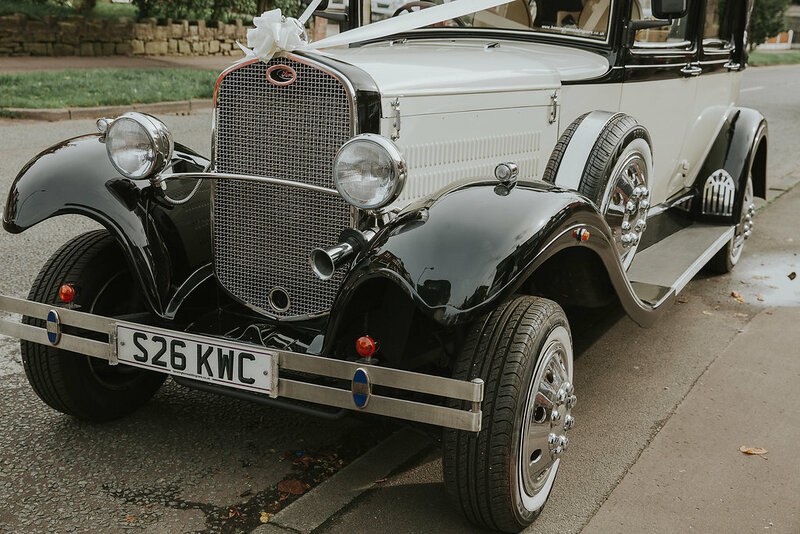 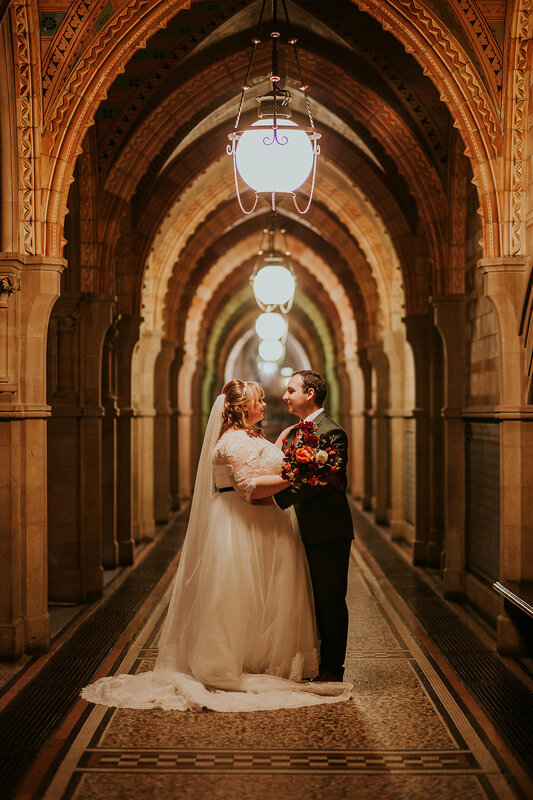 Maddie Farris is a wedding photographer based in Littleborough, Greater Manchester UK. 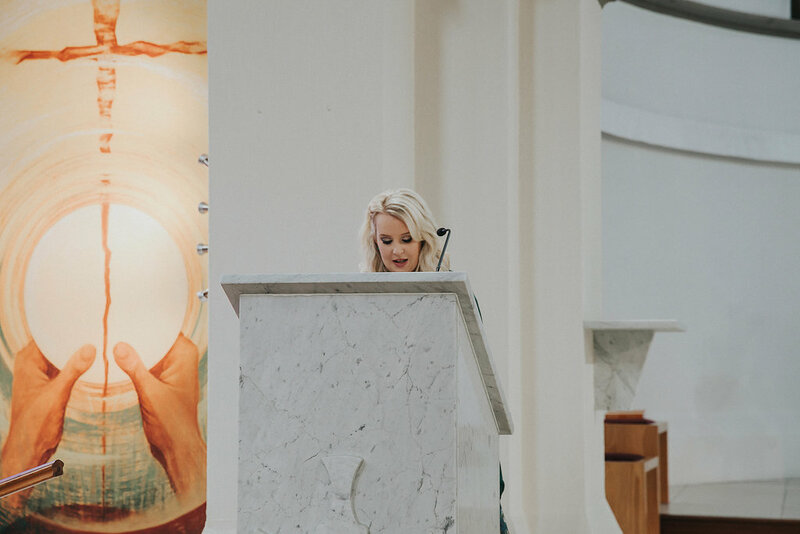 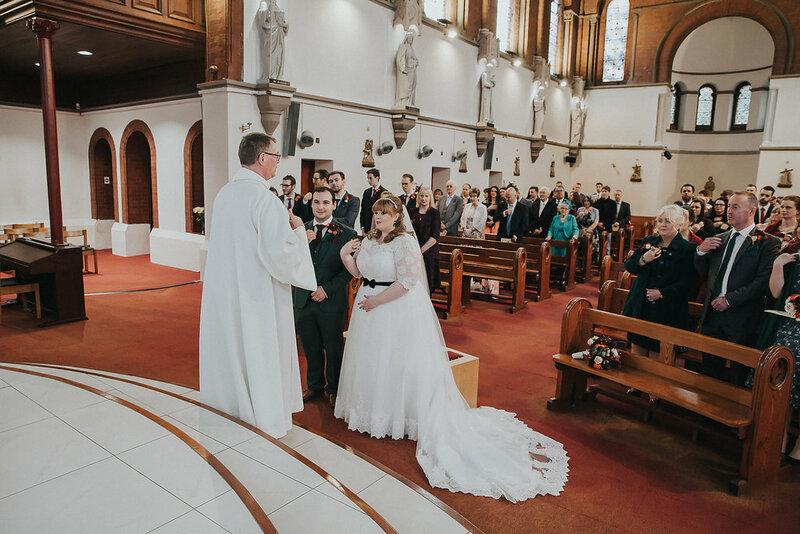 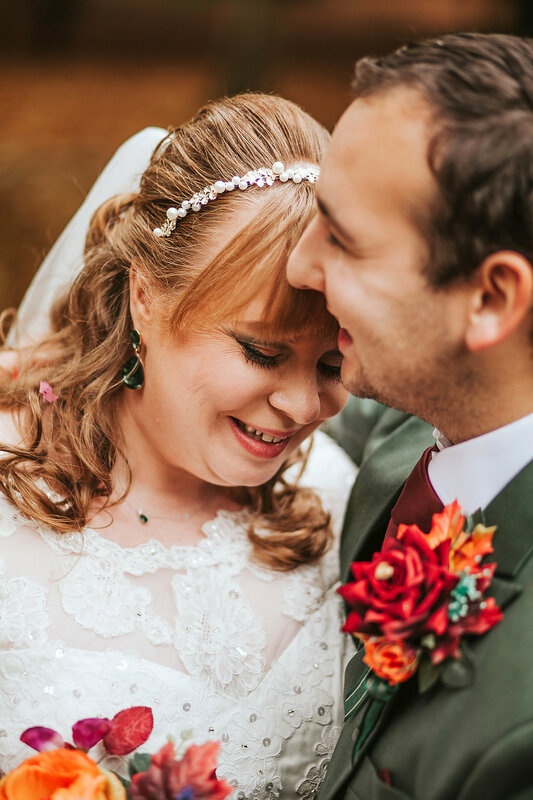 Her approach to Wedding Photography is natural, authentic and unobtrusive. 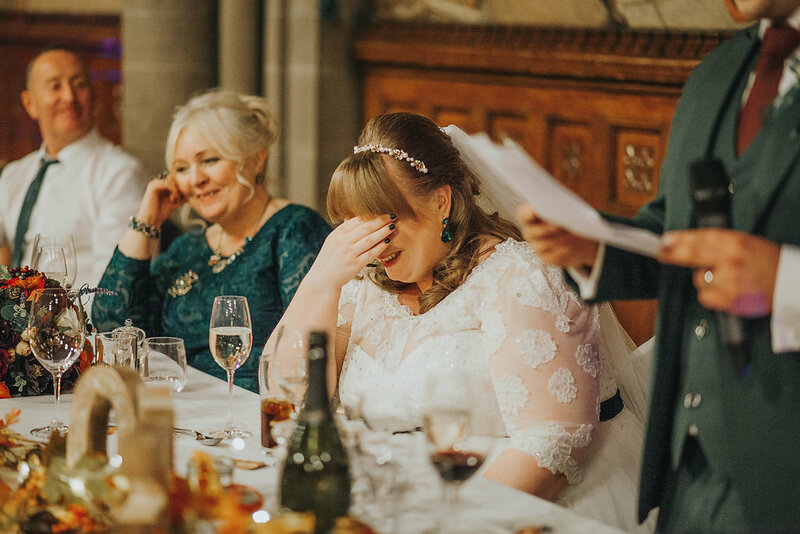 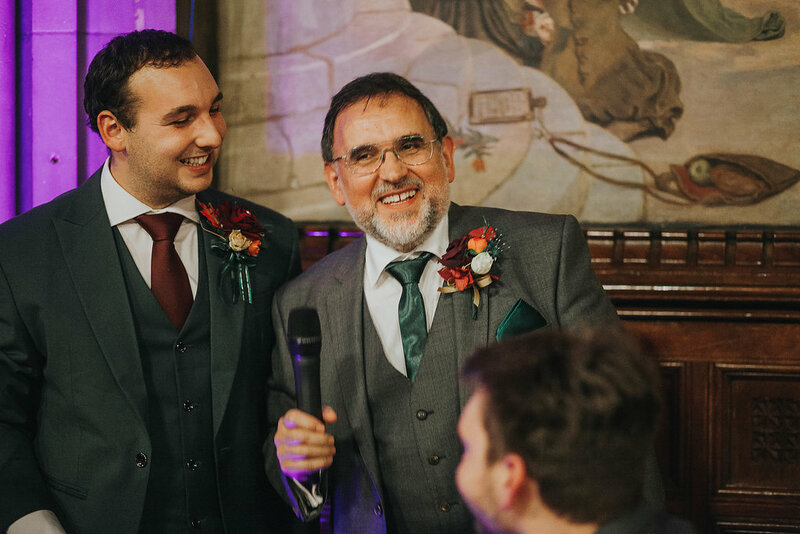 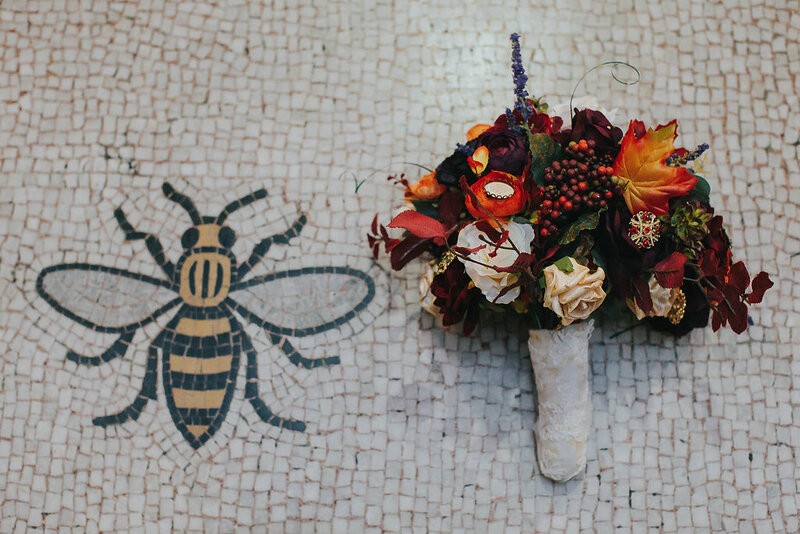 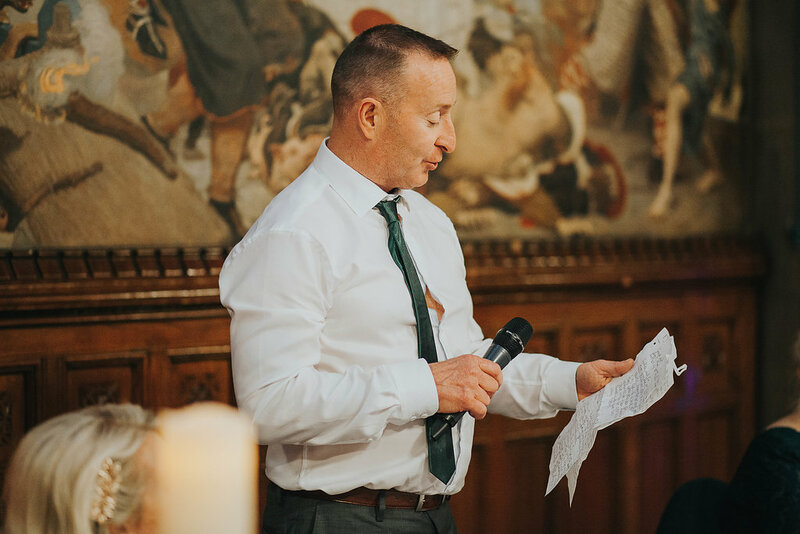 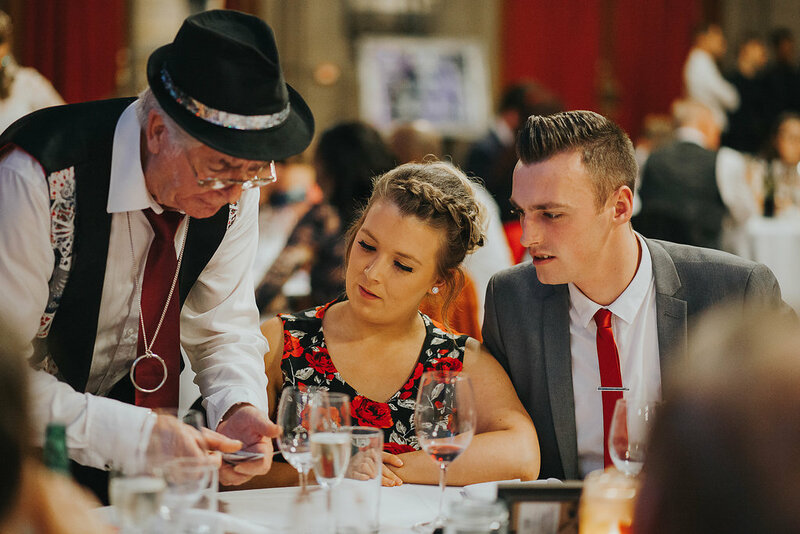 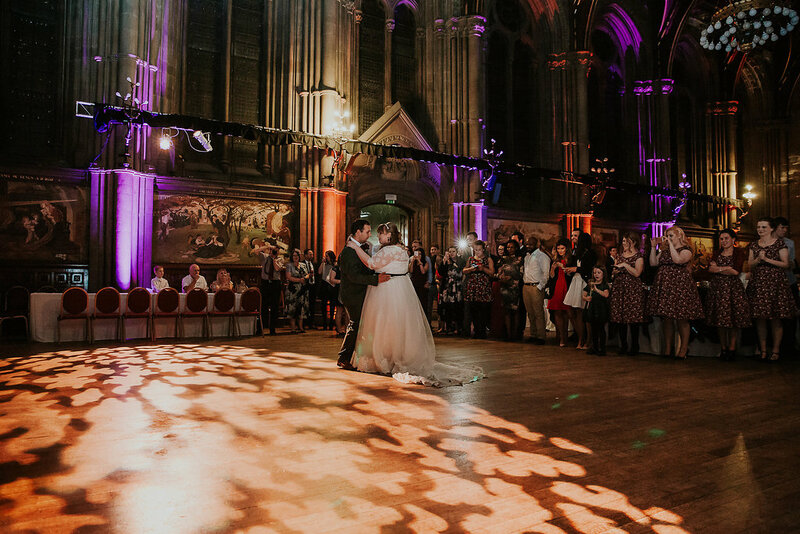 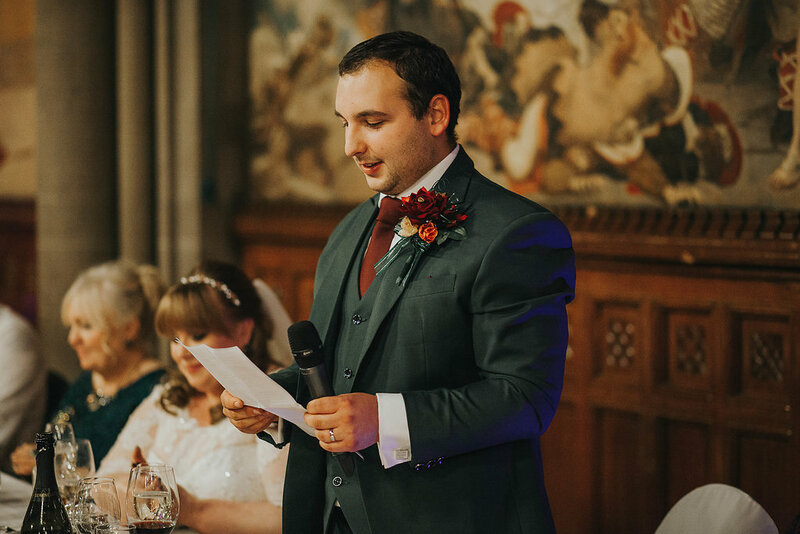 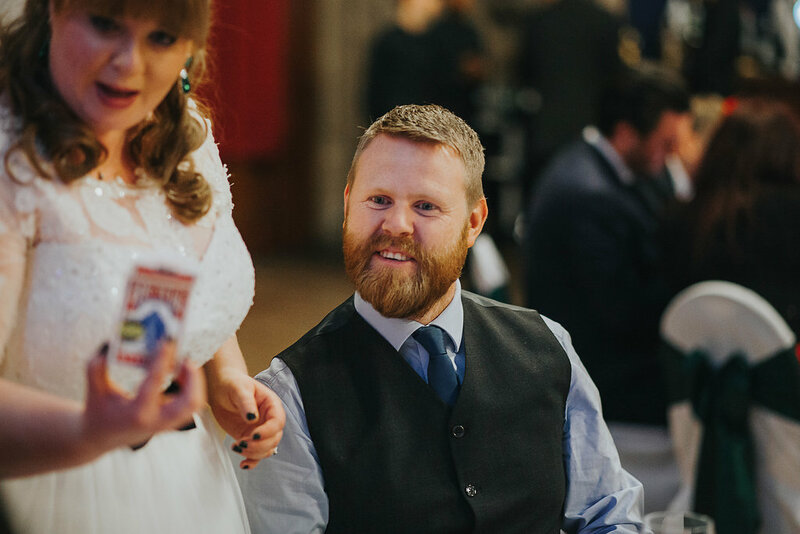 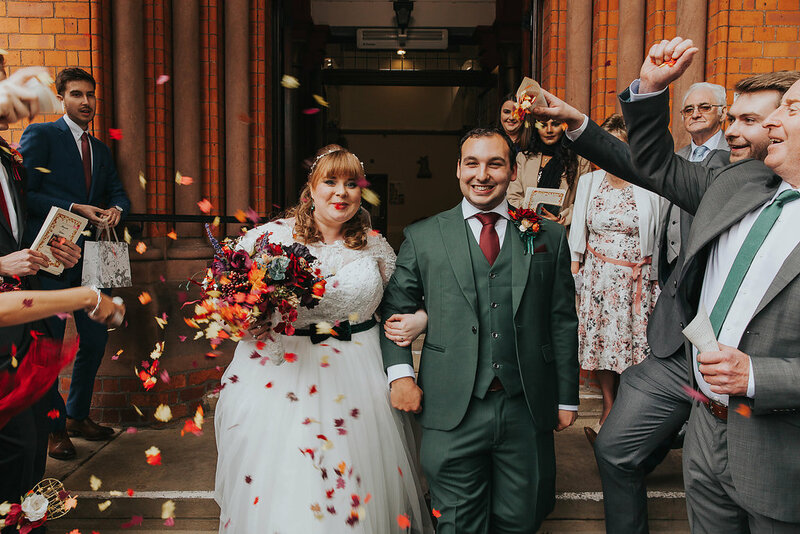 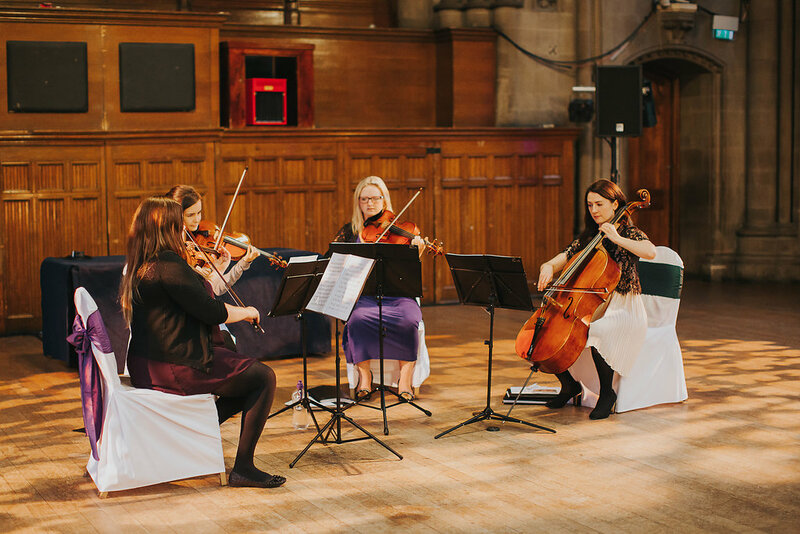 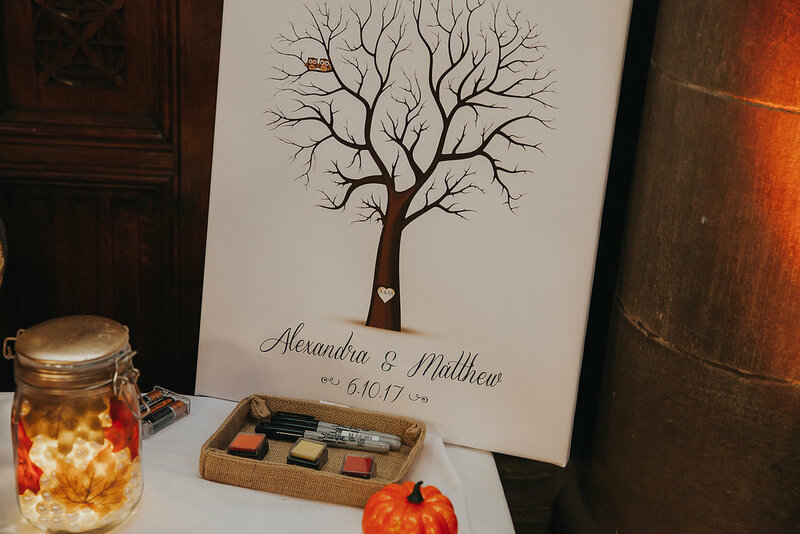 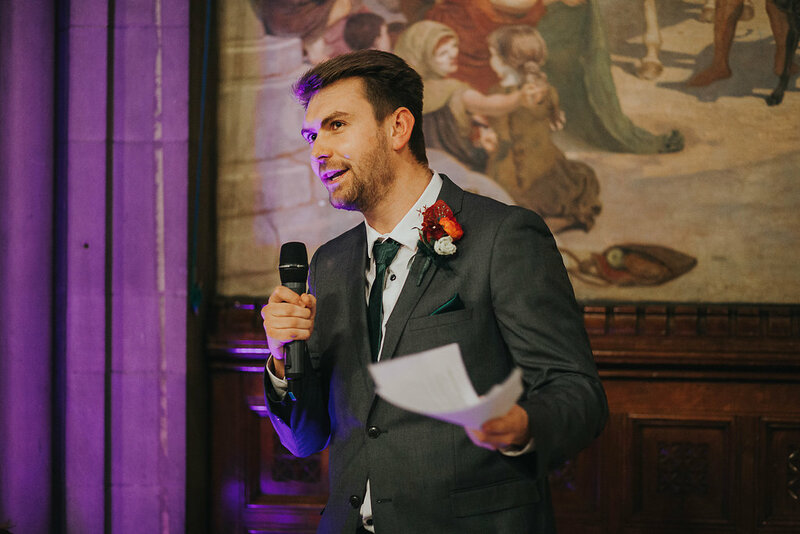 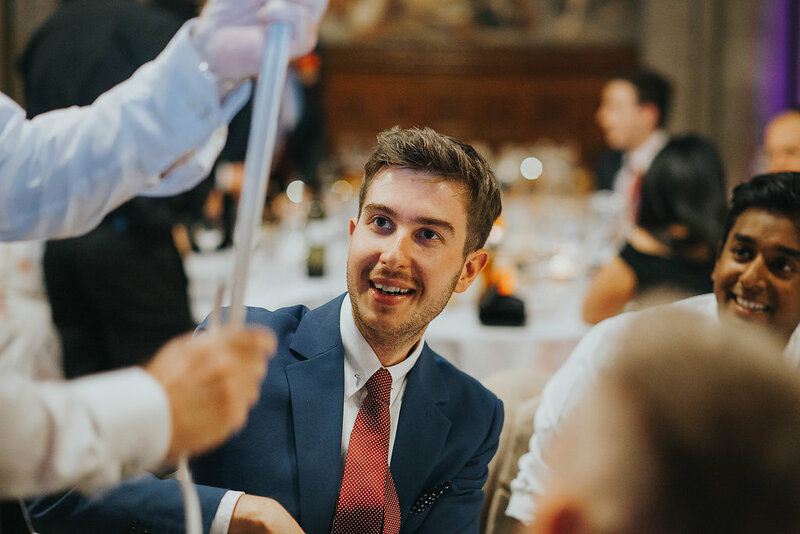 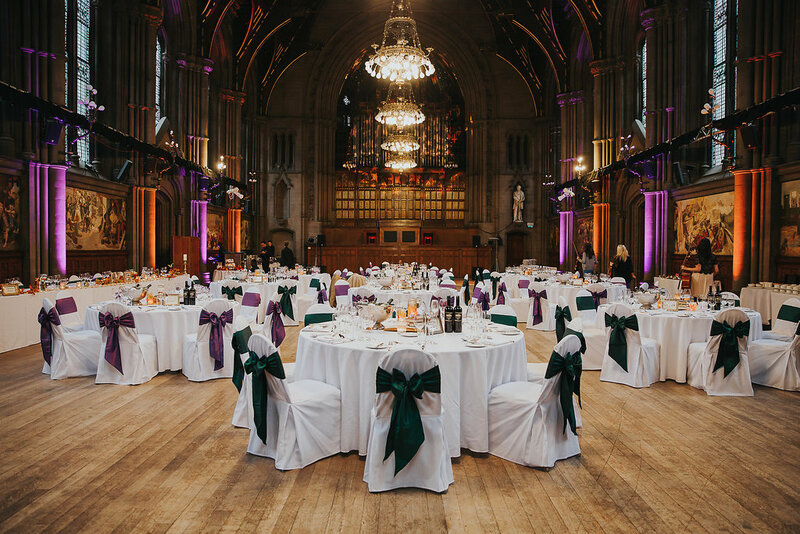 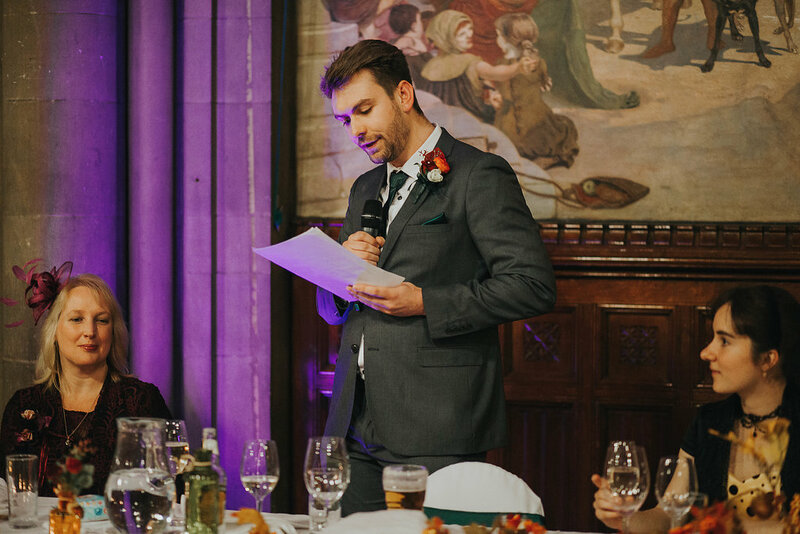 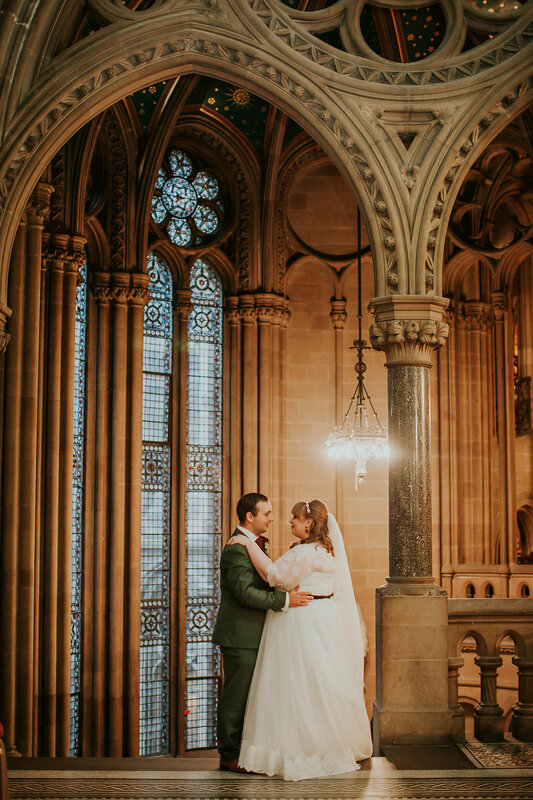 “Alex & Matt had the most magical Harry Potter and Brothers Grimm themed wedding at Manchester Town Hall. 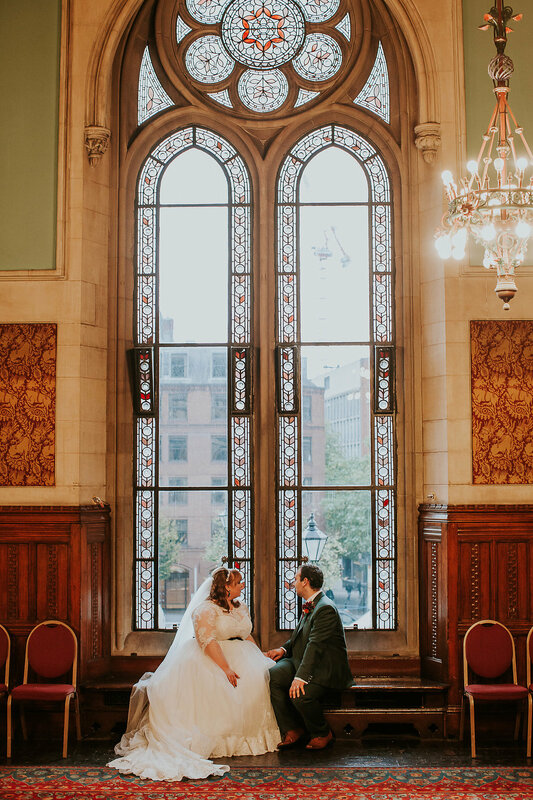 I love a city wedding, especially in my favourite city of all! 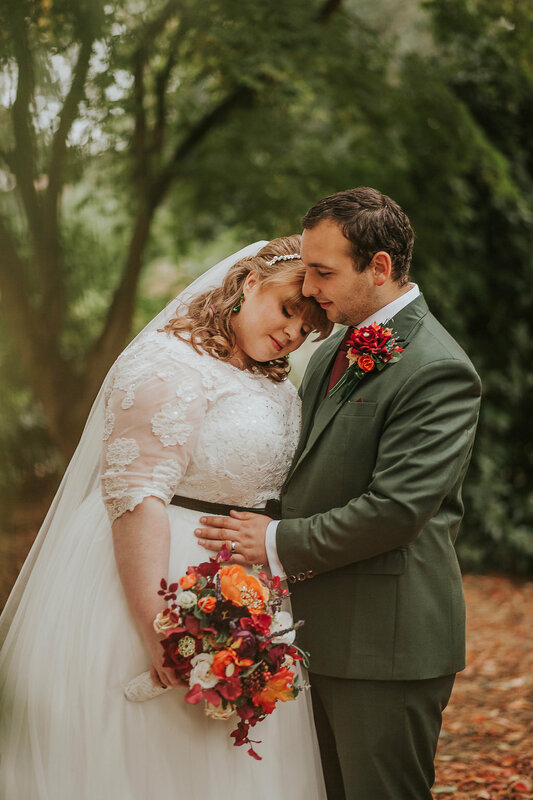 And I also love all things magical and autumnal, so I knew I was going to have a great time photographing this wedding. 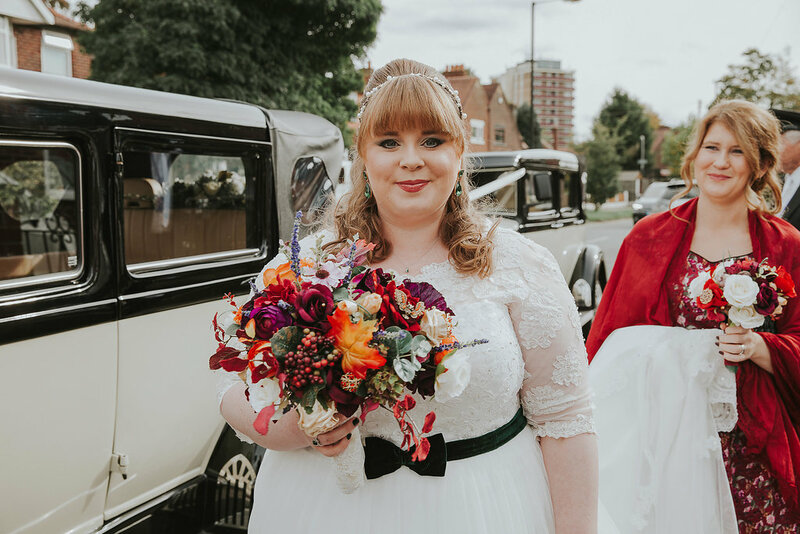 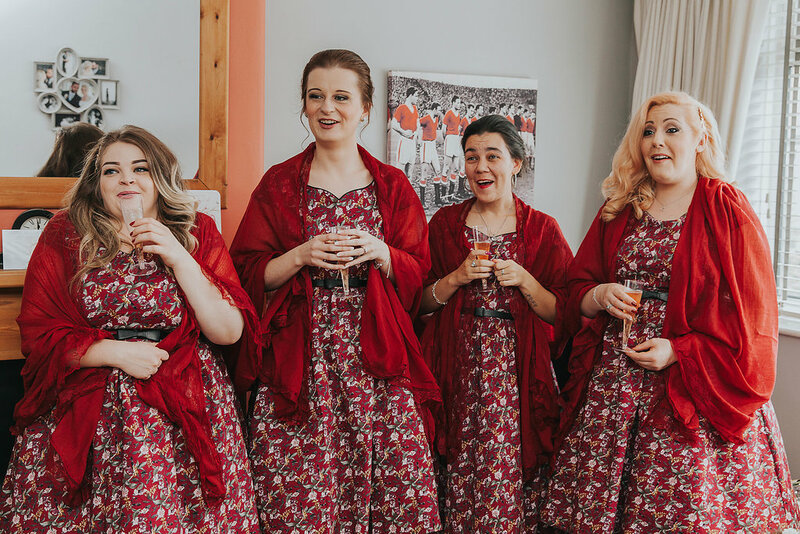 I spent the morning of the wedding with Alex & the girls, photographing all the details including the bridesmaid’s handmade bouquets which Alex & her Mum had made. 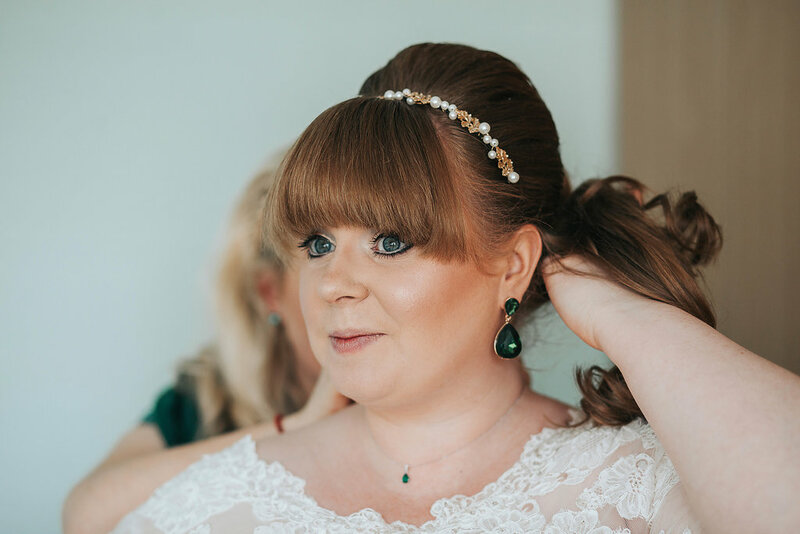 Each bunch was decorated with personalised brooches & jewellery, and the bridesmaids could keep them afterwards as gifts! 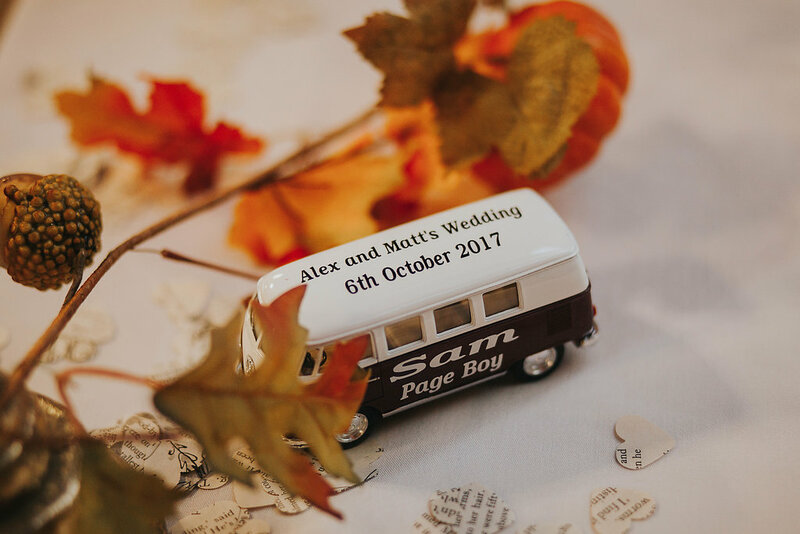 The ceremony took place in Withington, close to where Alex & Matt live. 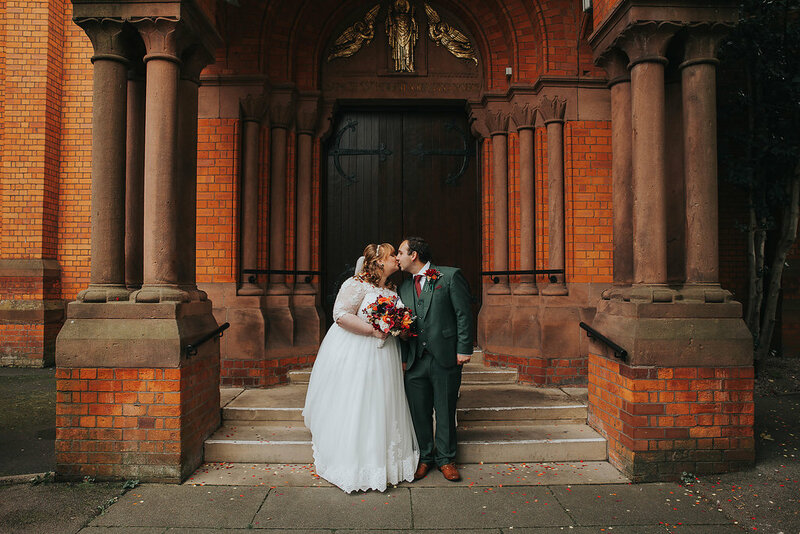 I love the red brick of the church with all these amazing autumn colours! 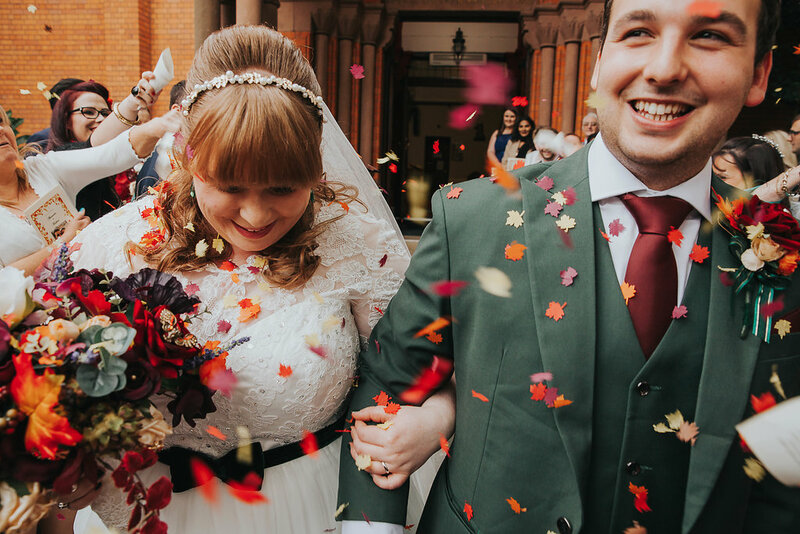 Afterwards, we had a super colourful confetti walk before I took Alex & Matt off for some portraits in Didsbury. 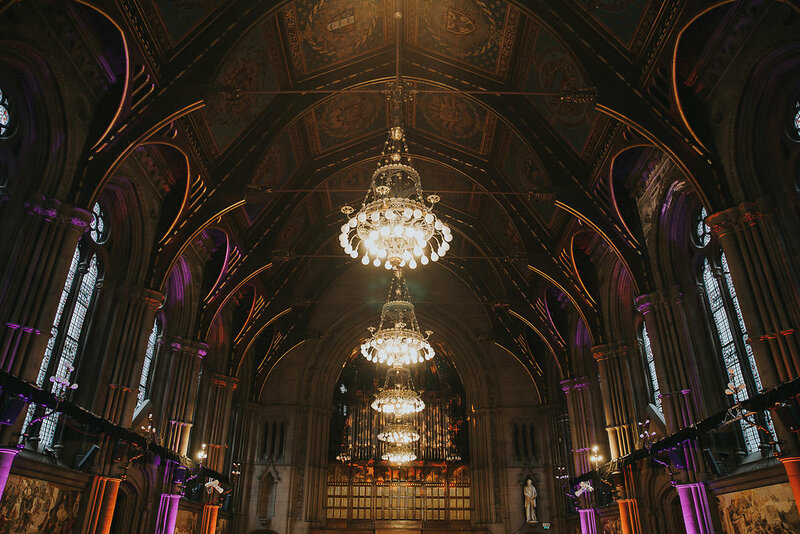 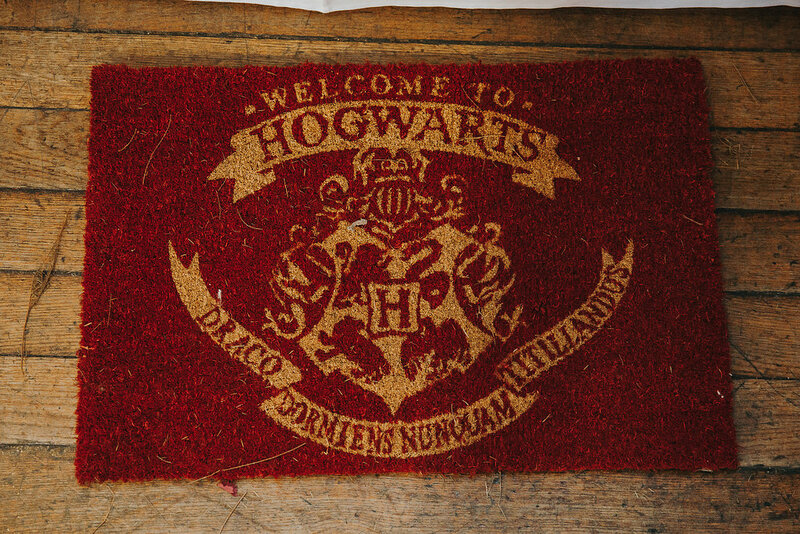 Afterwards we headed to Manchester Town Hall, the perfect Hogwarts-esque venue. 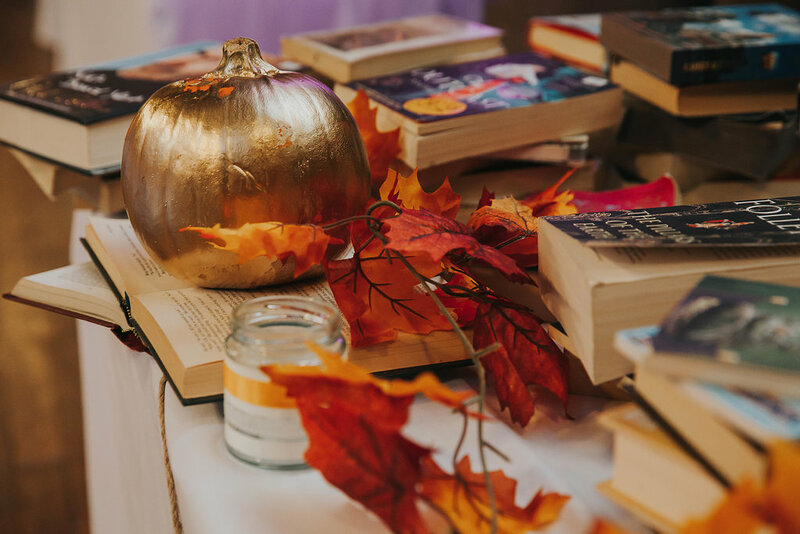 Alex & Matt had decorated the place perfectly with autumn colours, a book table, Harry Potter photo-props & each table was named after a different story book. 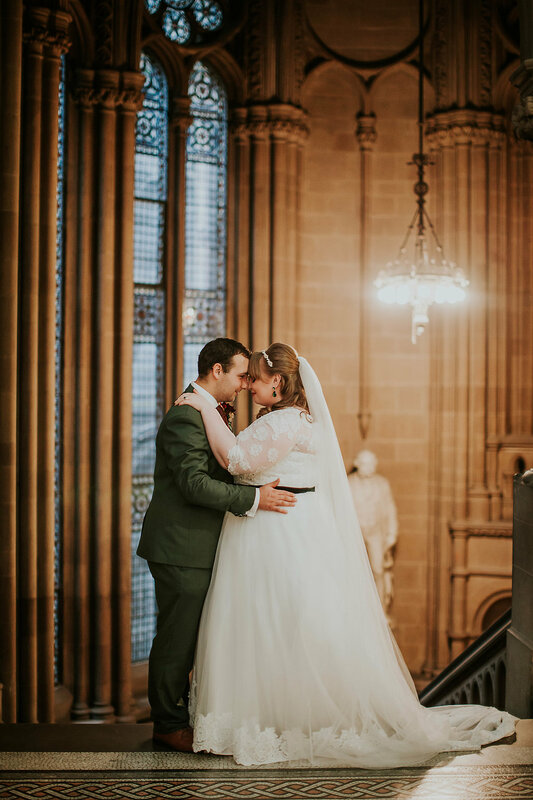 It was a truly magical day! 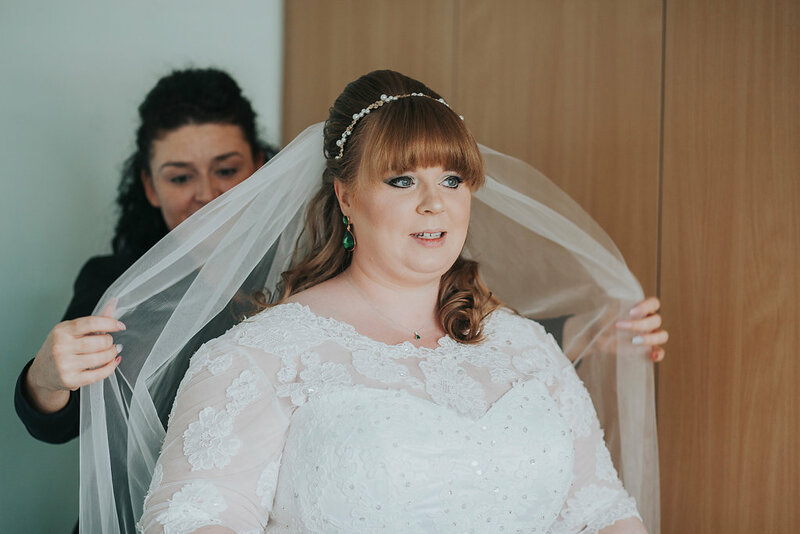 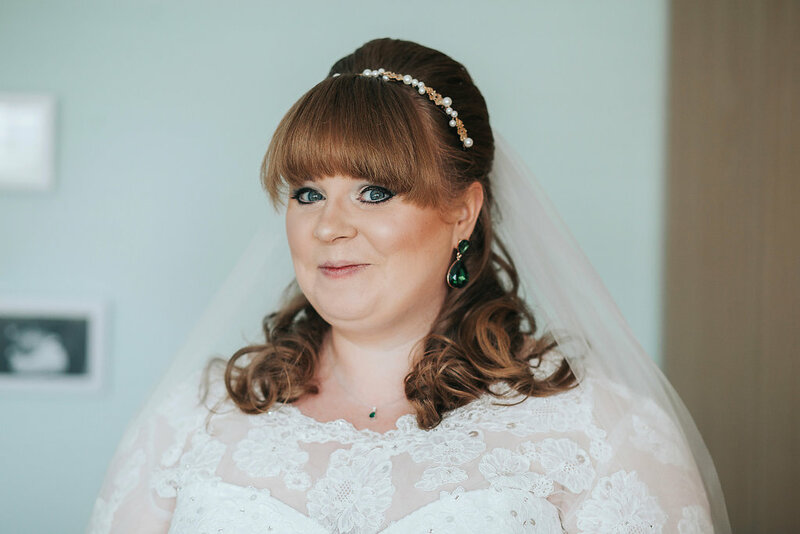 I hand over to beautiful Bride Alex…. 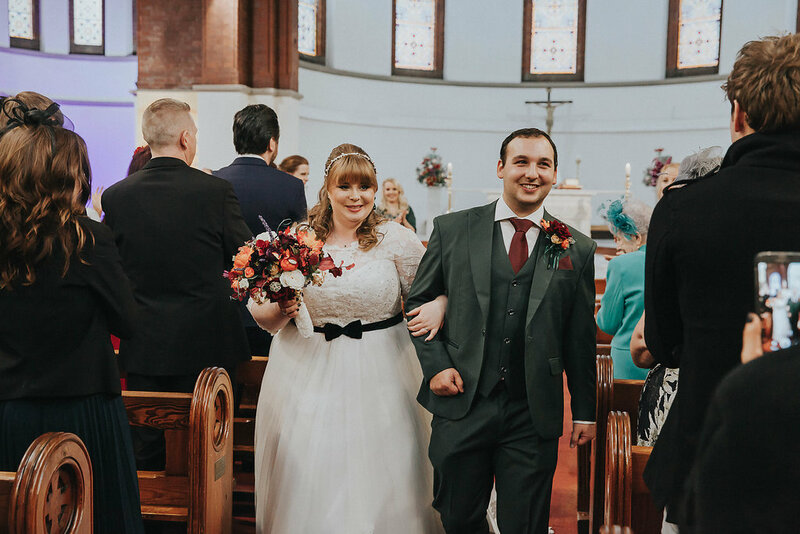 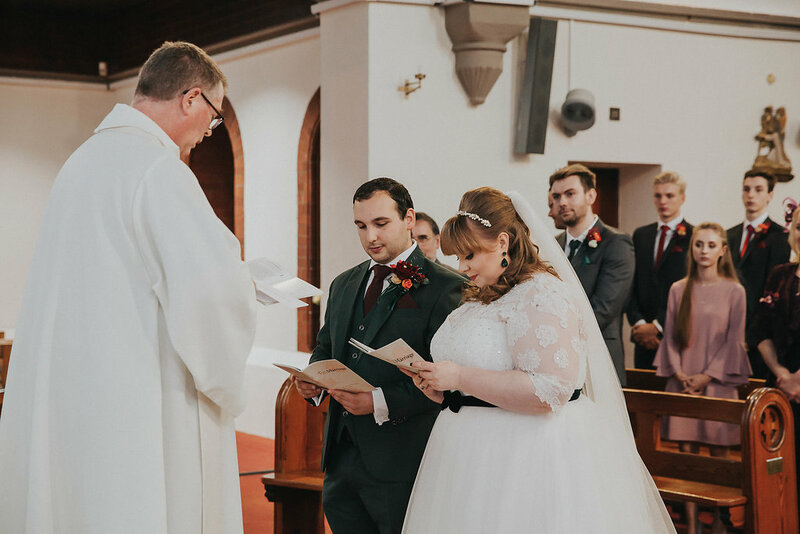 We met whilst we were both working at AQA examination board as TGA’S (Temporary General Assistant) in June 2011 & we became a couple in August 2011. 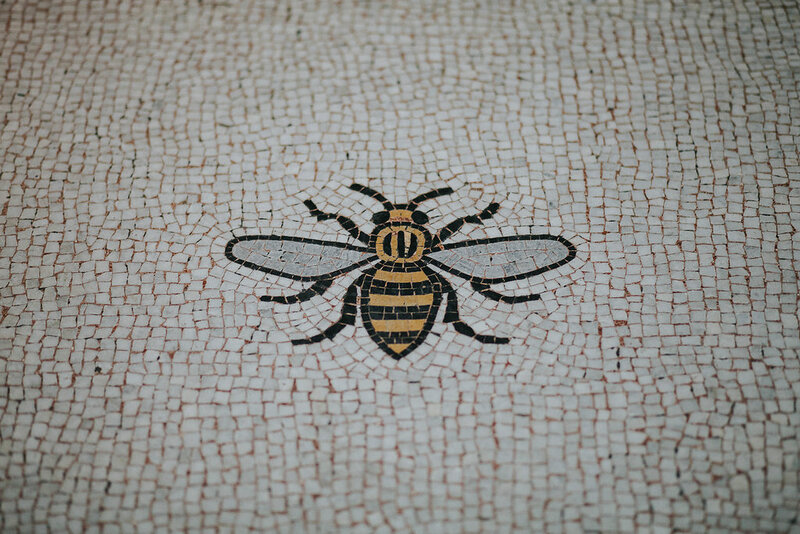 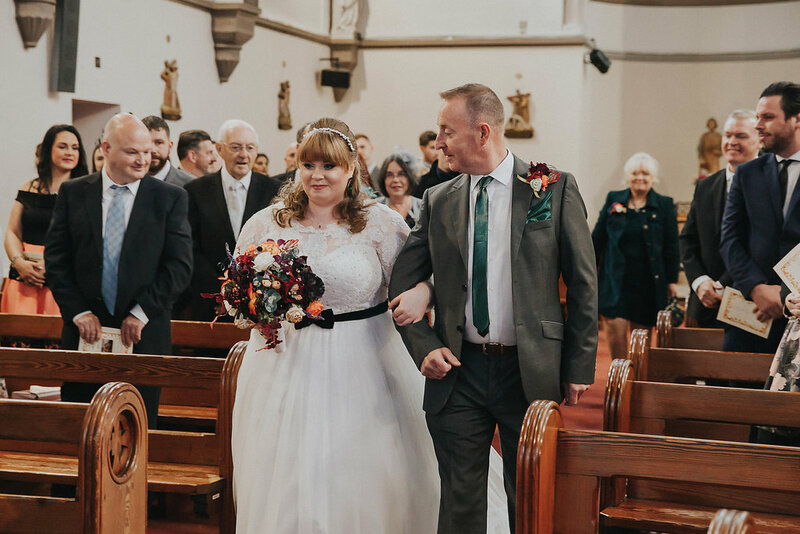 We would go for dates to the Slug & Lettuce in Albert Square (Manchester) for cocktails after work & Matt would always end up missing his last bus home. 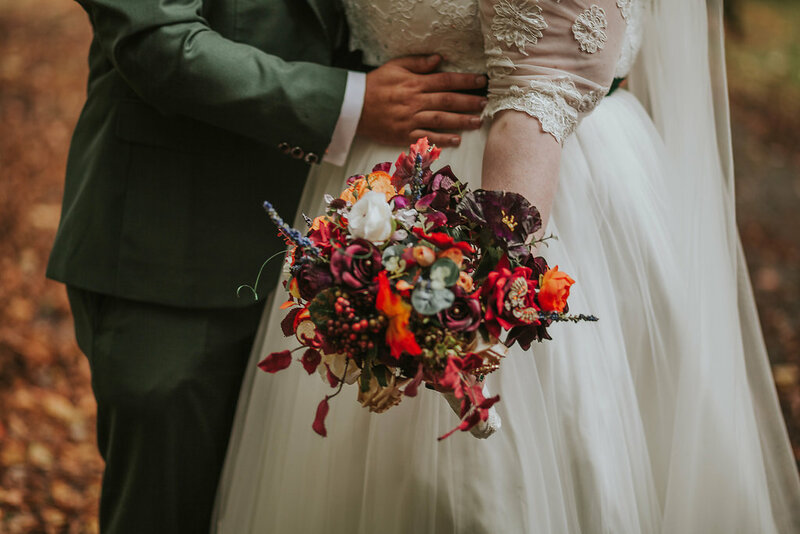 For the proposal, Matt took me for a walk into the hills in Rossendale Valley overlooking Haslingden (where he is originally from). 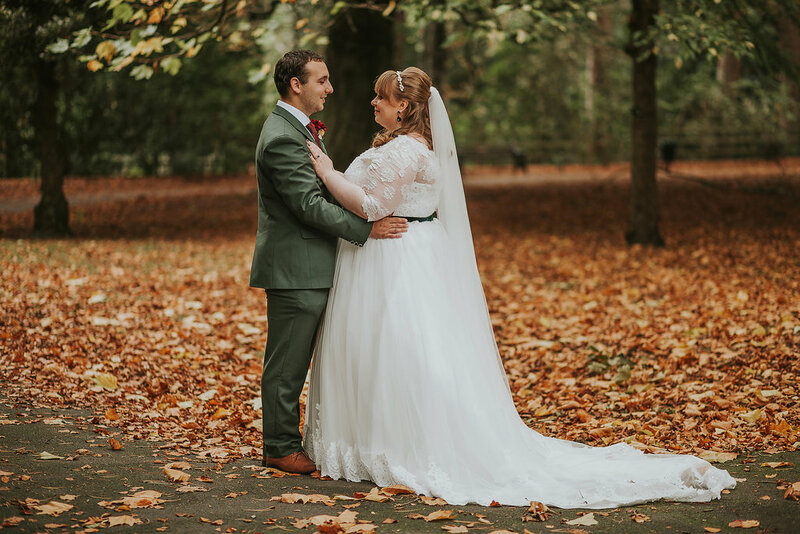 He had timed it for sunset & as the sun was going down we ended up at this stone wall in the middle of a field where we could see Manchester in the distance & he said “I always said that, one day, I would take my soul mate up here one day…” then proceeded to get down on one knee….& the rest is history! 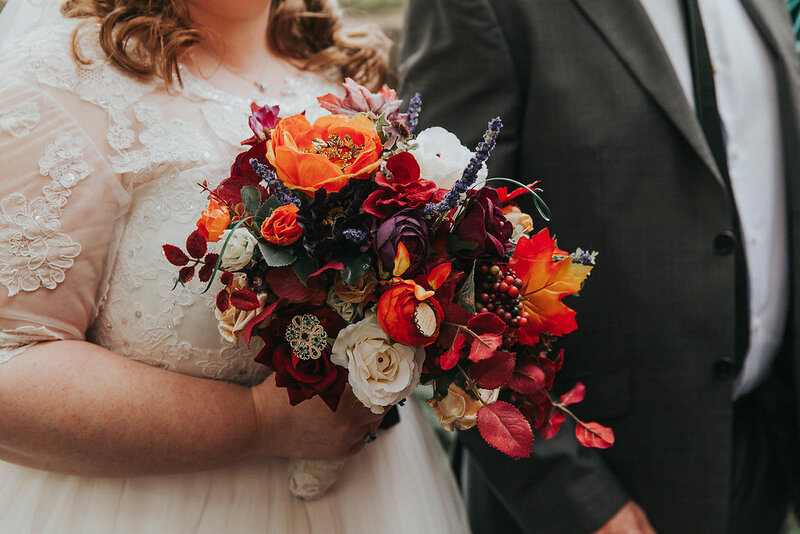 It was a very DIY wedding; we made our own Invitations, wedding jars for centre pieces & my mum made all of the wedding bouquets & button holes using brooches & artificial flowers. 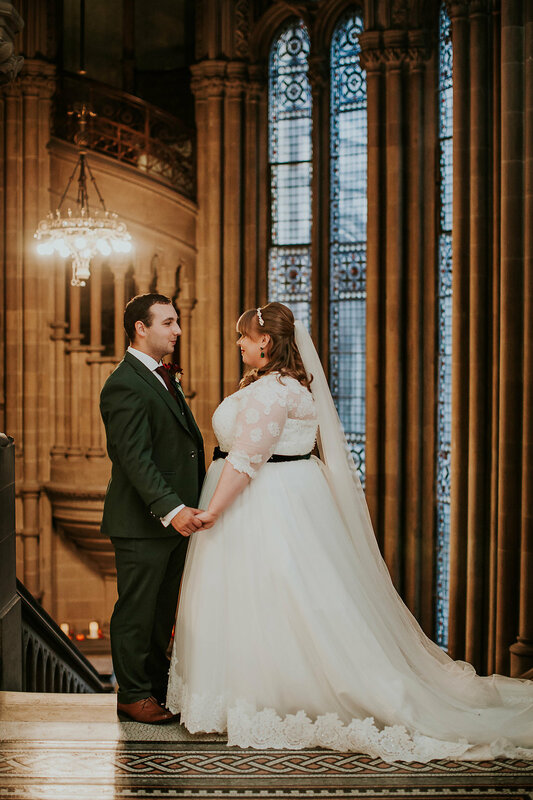 The wedding planning journey consisted of spending a lot of time on Ebay, going to shops such as HobbyCraft & spending late nights sat at the kitchen table covered in PVA glue! 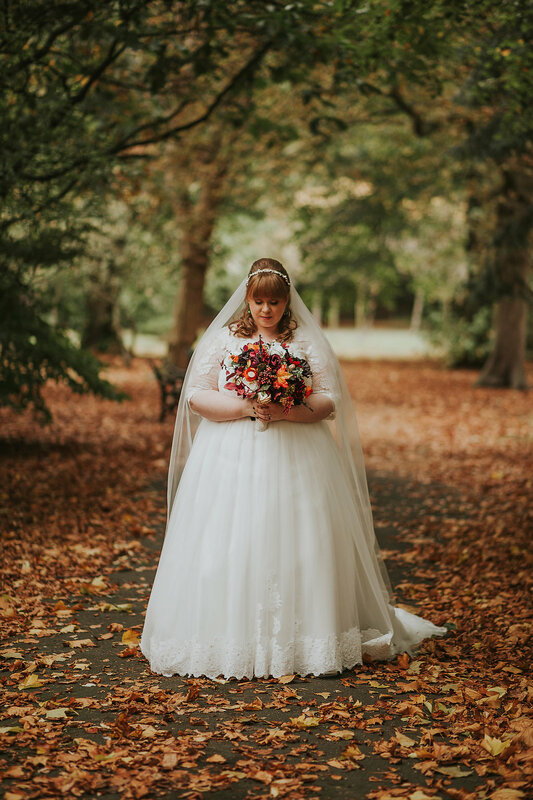 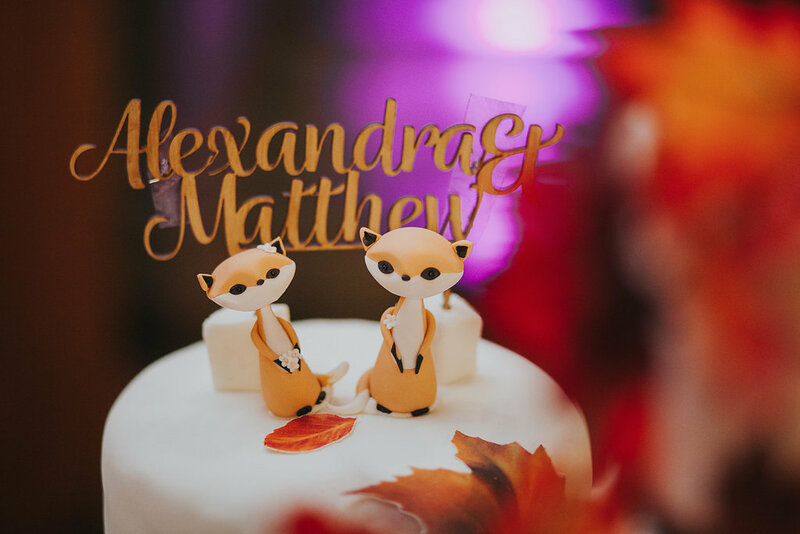 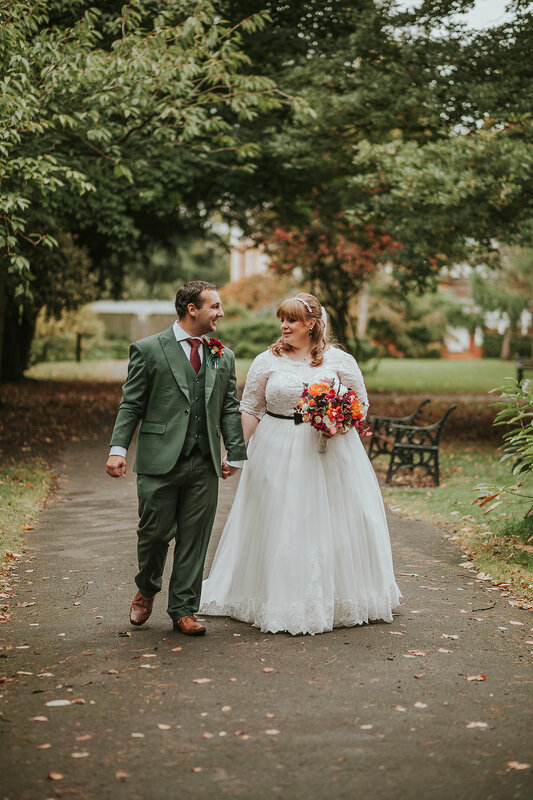 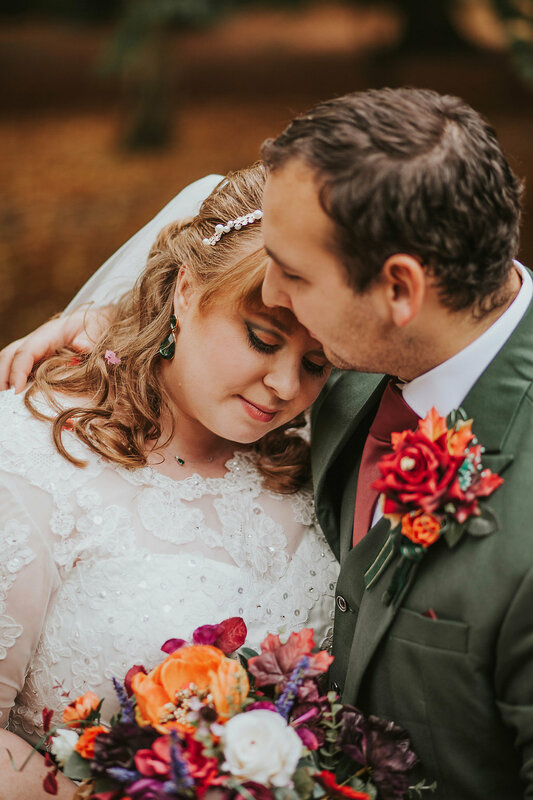 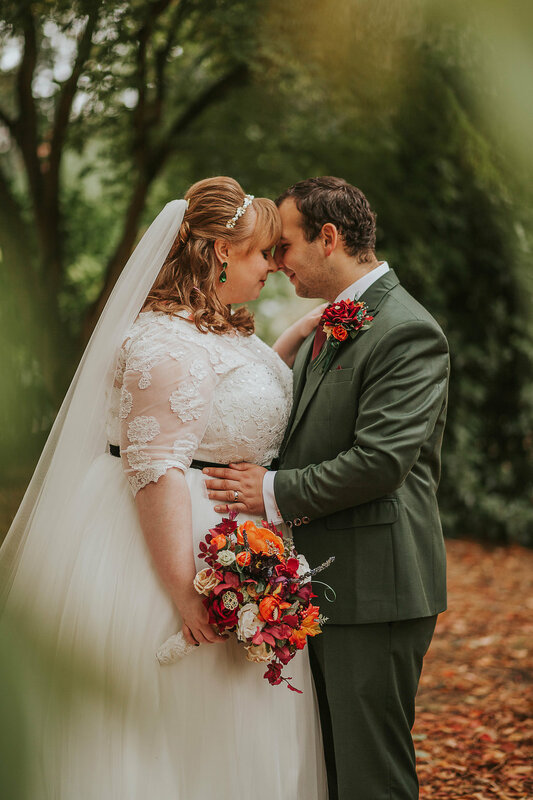 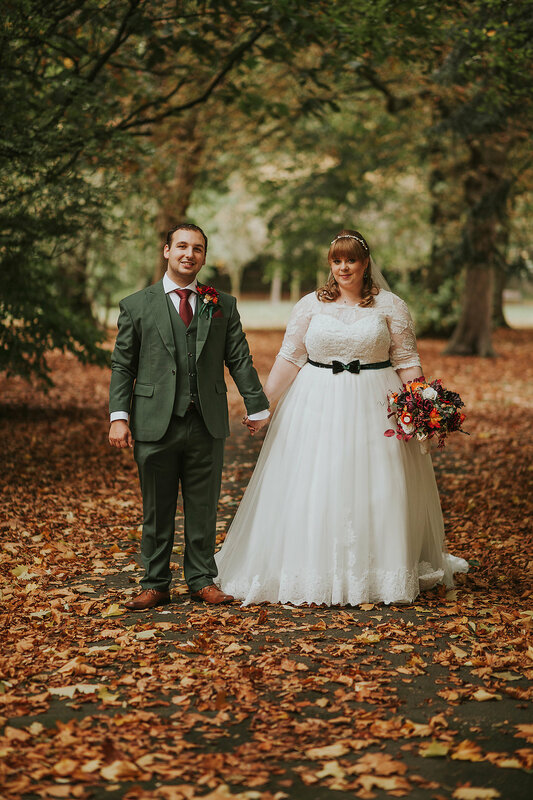 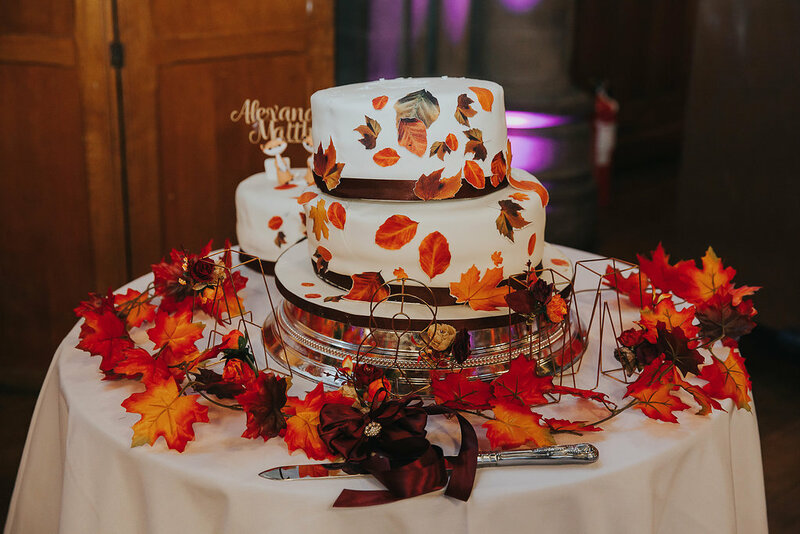 We got married in October so having an autumnal wedding theme was very important to us. 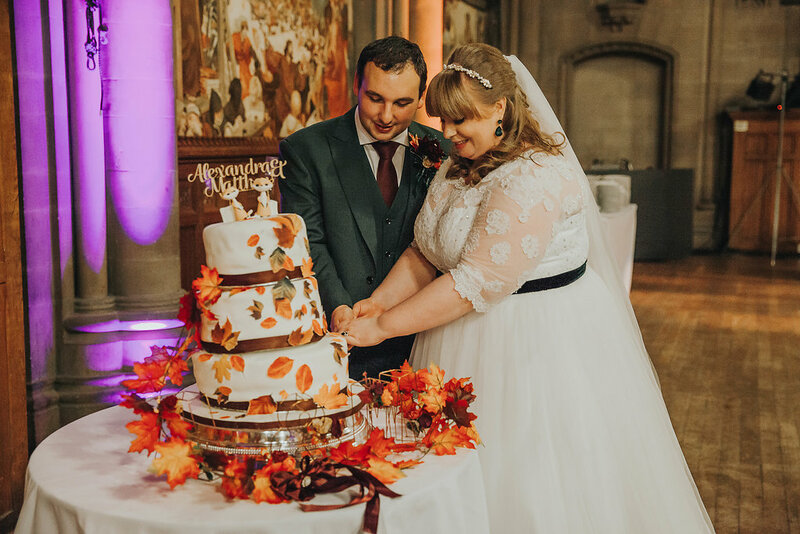 We tied in the autumnal colours by using artificial leaves, flowers, pumpkins & garlands/wreaths. 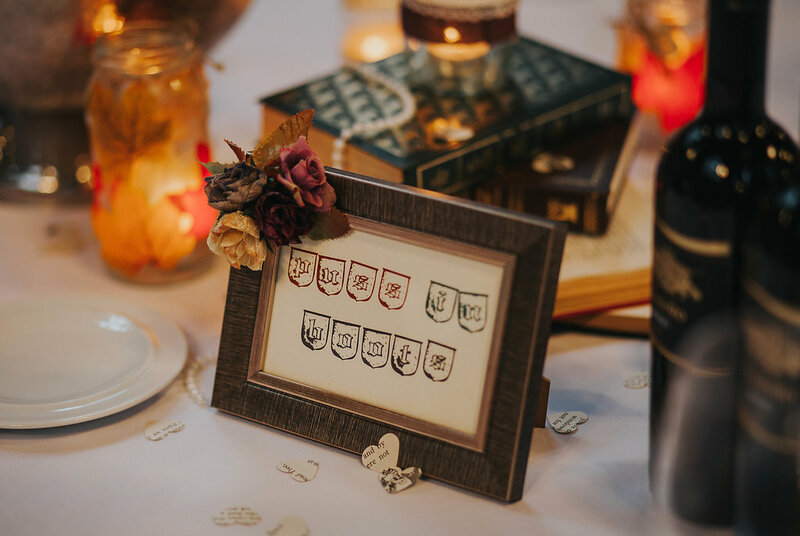 We also had a Literary/Harry Potter theme; our Magic Mirror photo booth had Harry Potter props (supplied by ourselves) & all of our tables were named after different Brother’s Grimm Fairytales. 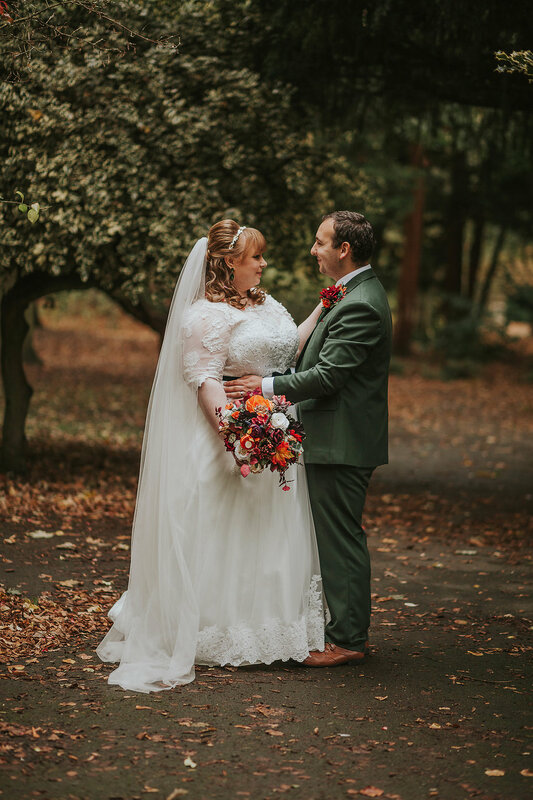 My personal highlight was having that time together in Marie Louise Gardens (West Didsbury, Manchester) to have pictures taken, just the two of us. 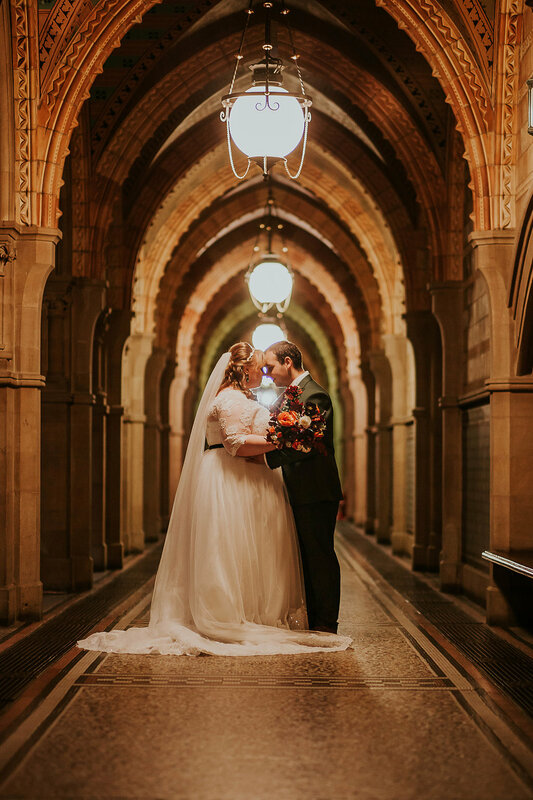 It was so tranquil & peaceful that it felt like we were the only people around. 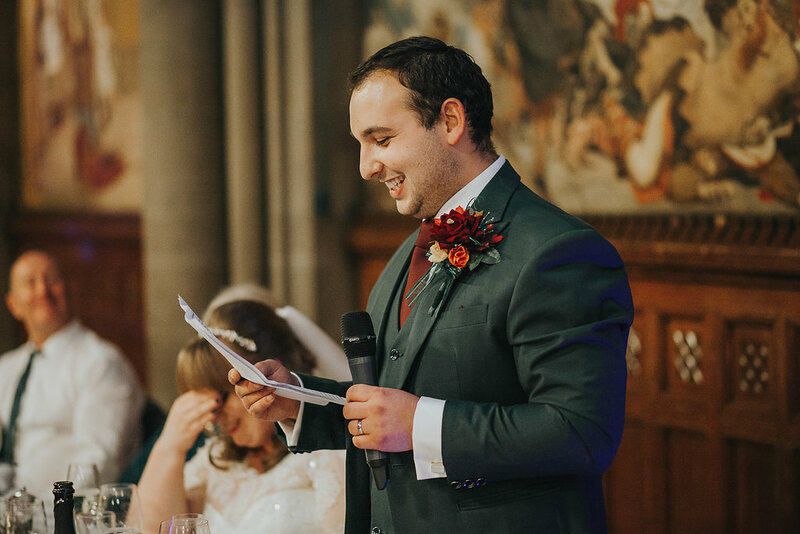 Matt’s highlight was having all of his friends & family in the same place at once; none of his family or friends live in Manchester & are dotted all over the country so it really meant the world to him to be able to spend time with everyone. 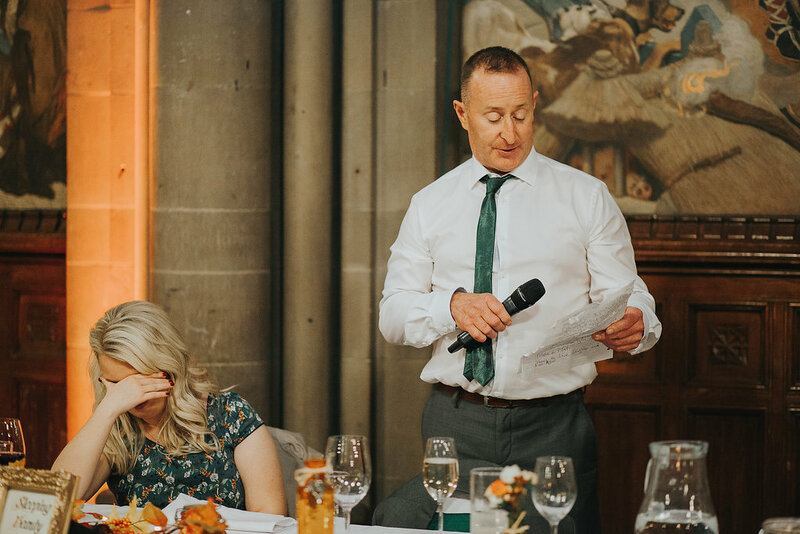 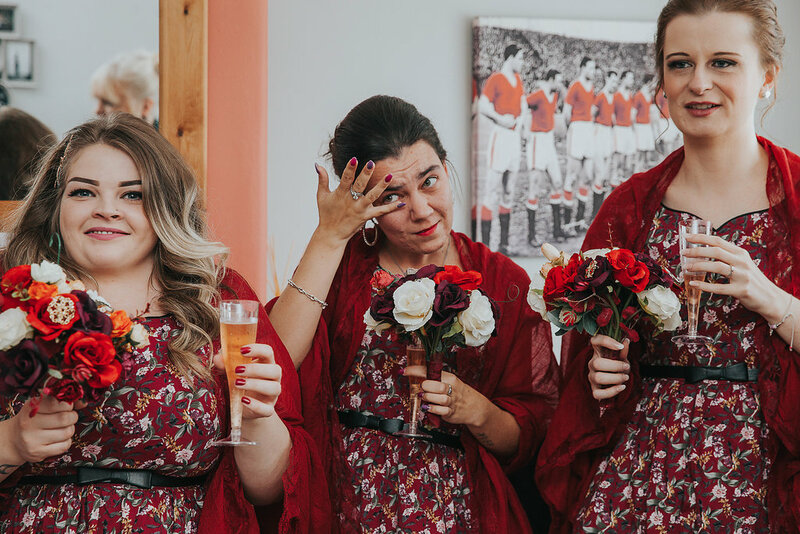 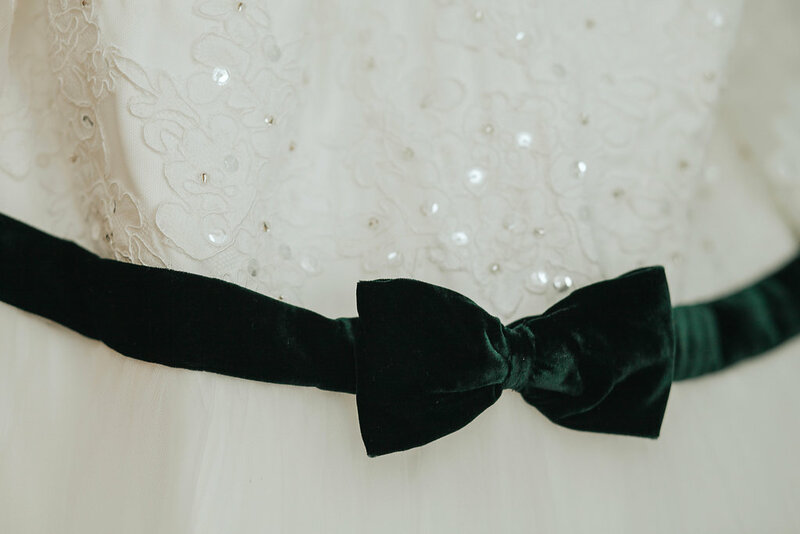 Our advice would be to not sweat the little stuff; if something hasn’t been completed or done by the time the wedding day rolls around then DON’T STRESS. 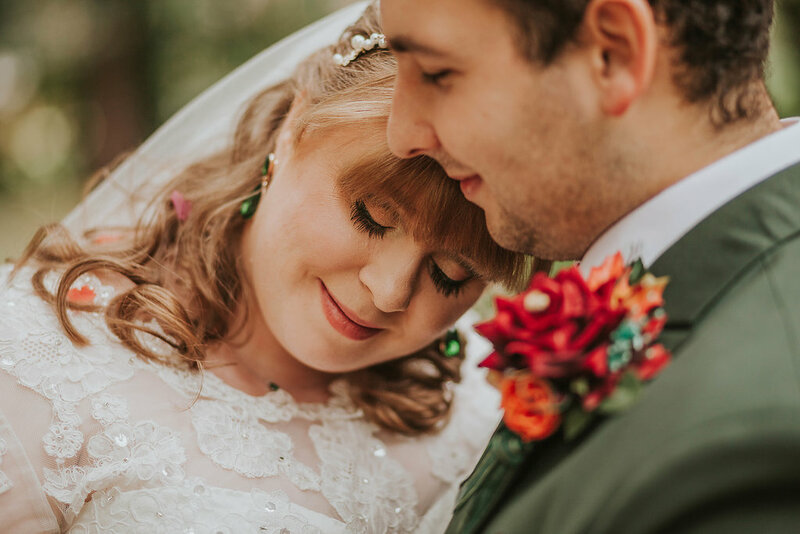 You come to realise that all the little details of the day (as beautiful as they look) don’t make the day, you saying “I do” to your soulmate & spending the rest of your lives together is what’s important. 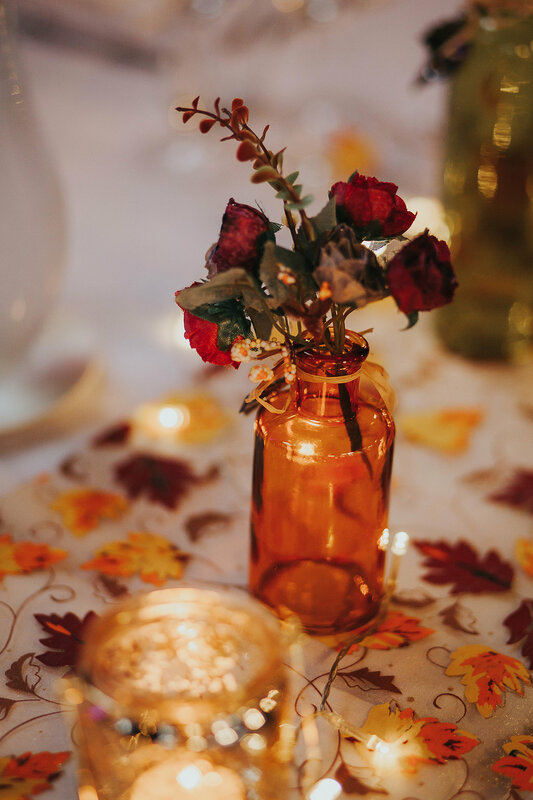 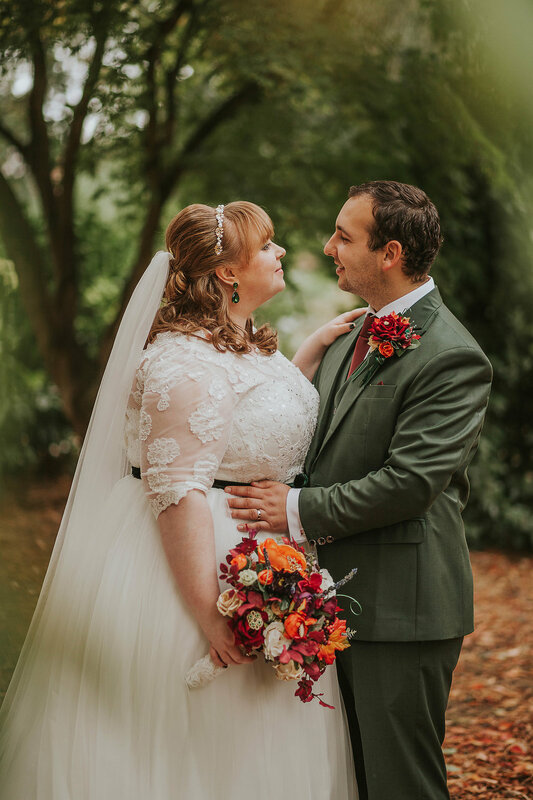 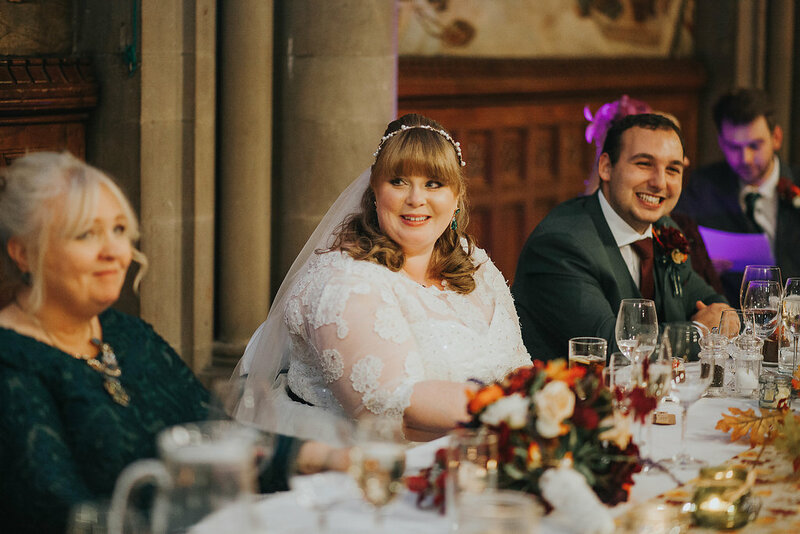 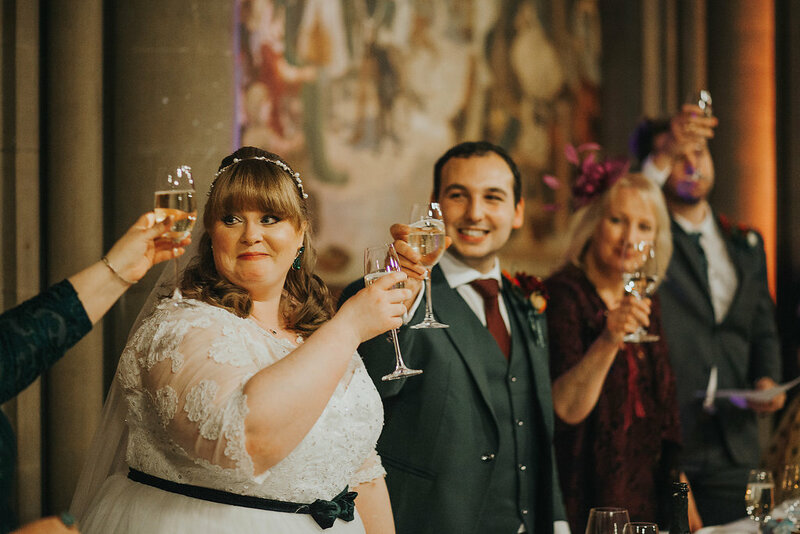 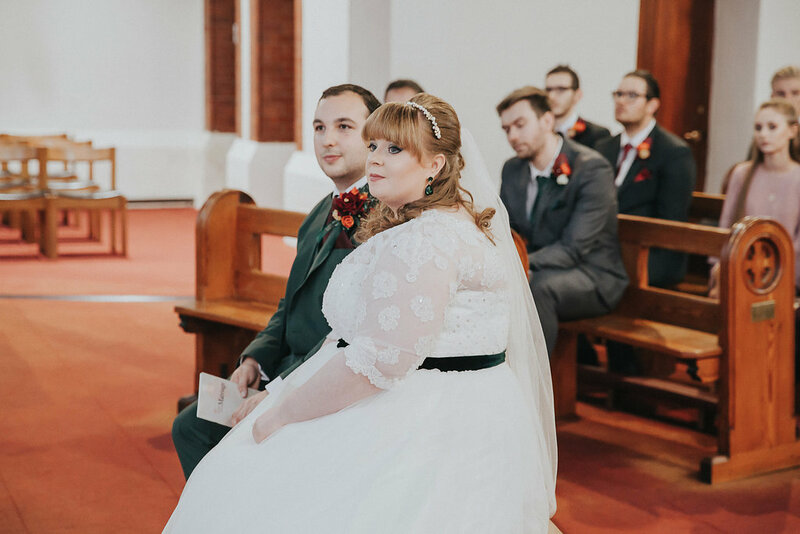 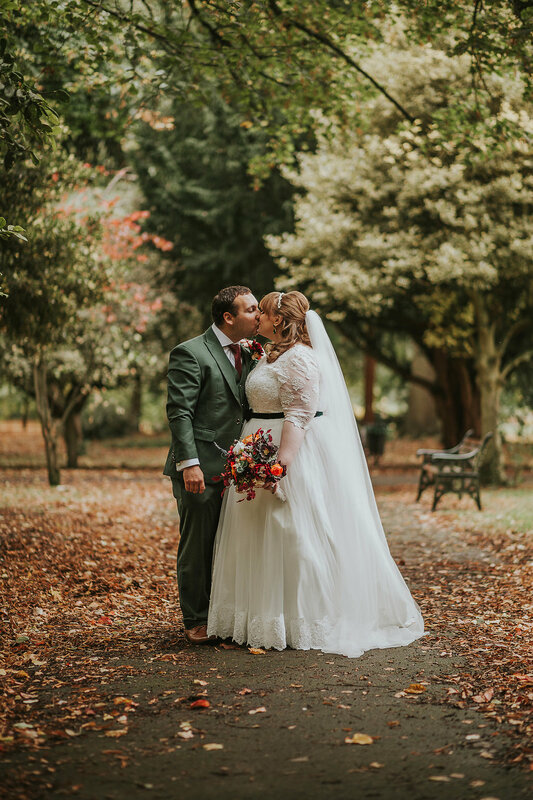 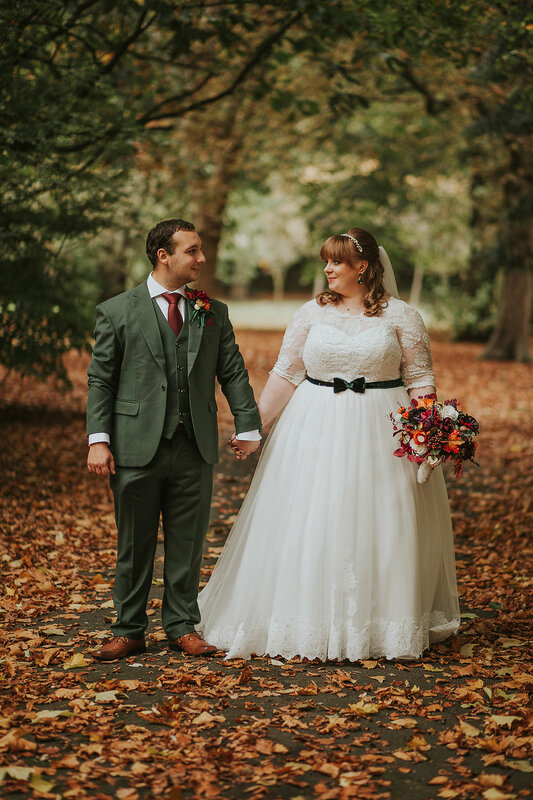 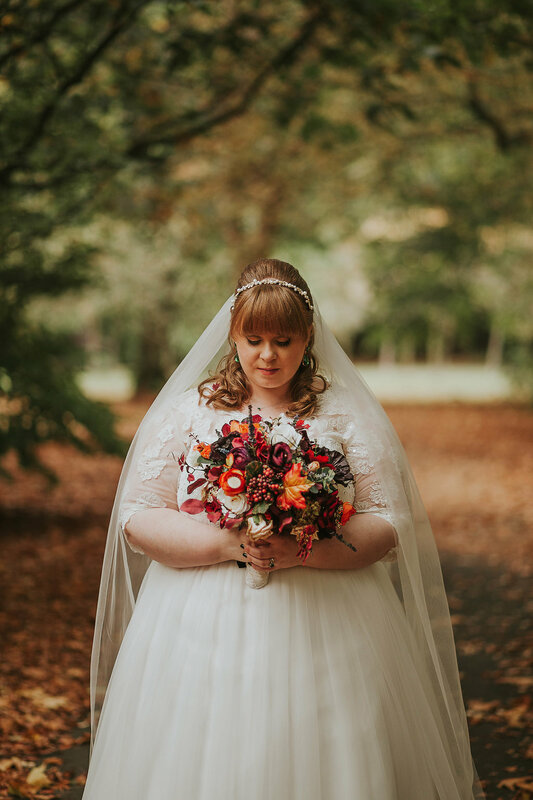 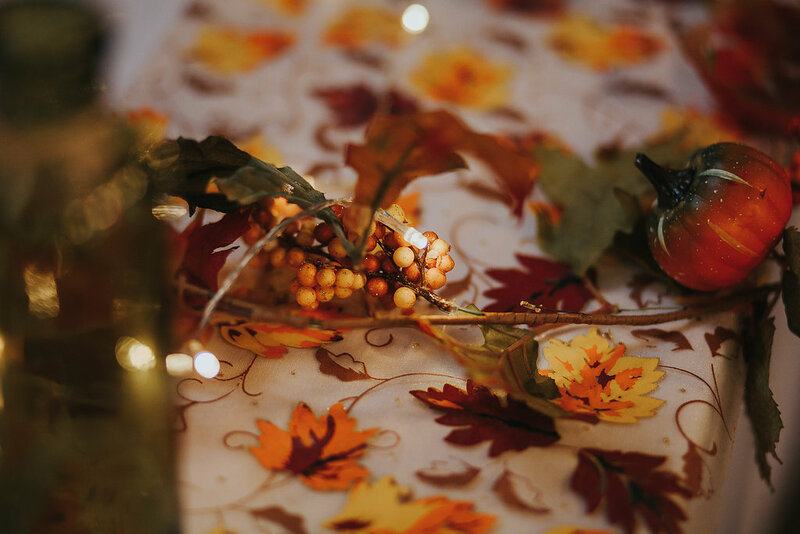 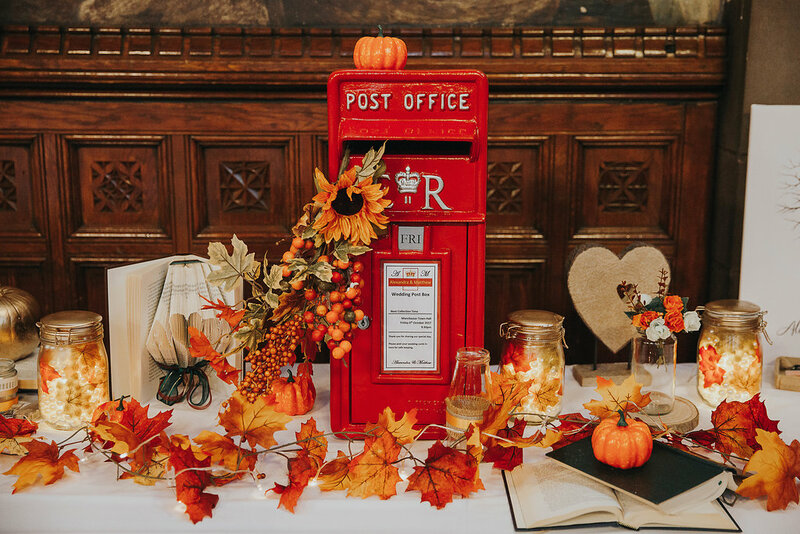 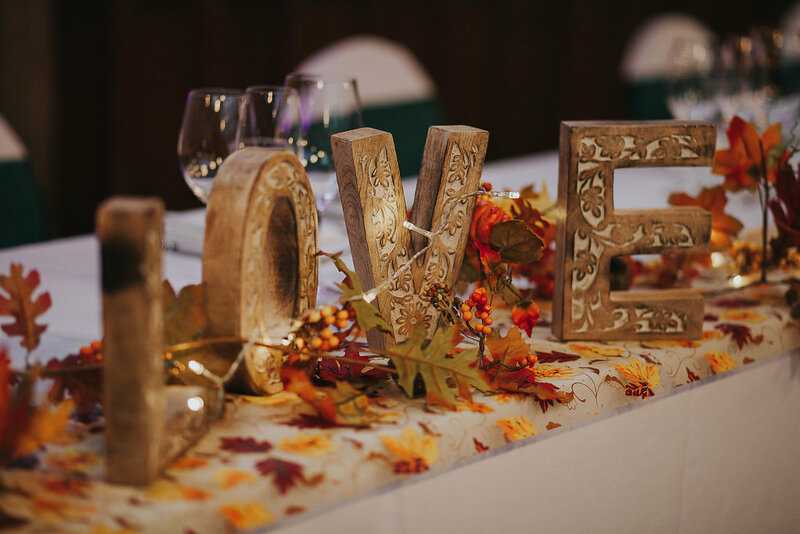 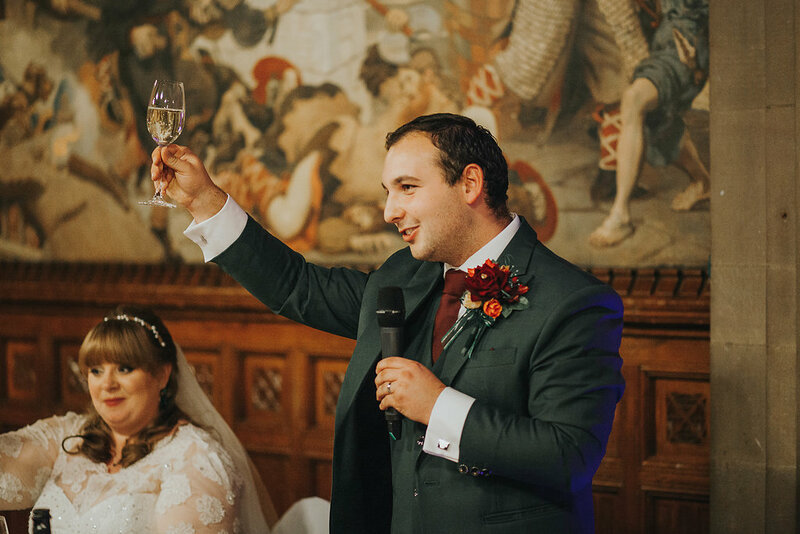 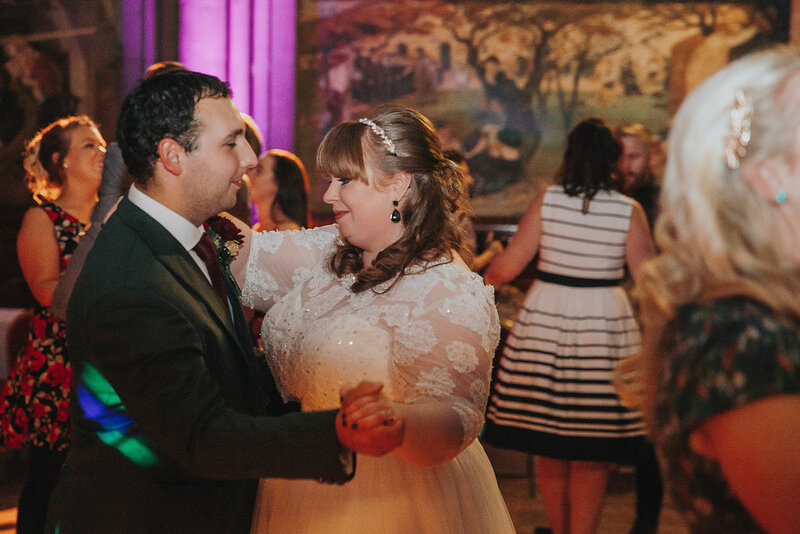 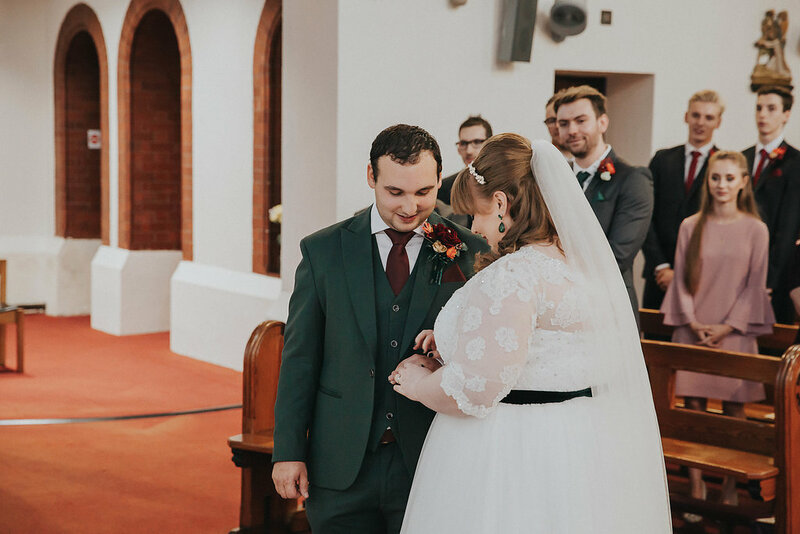 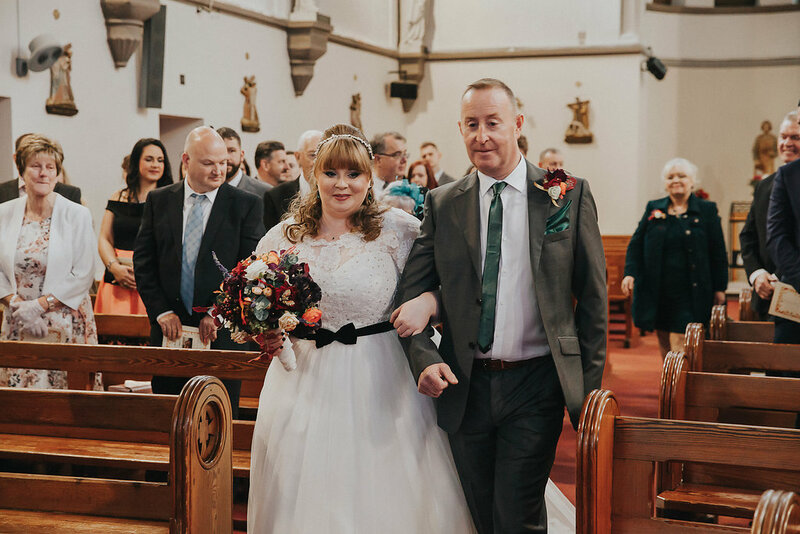 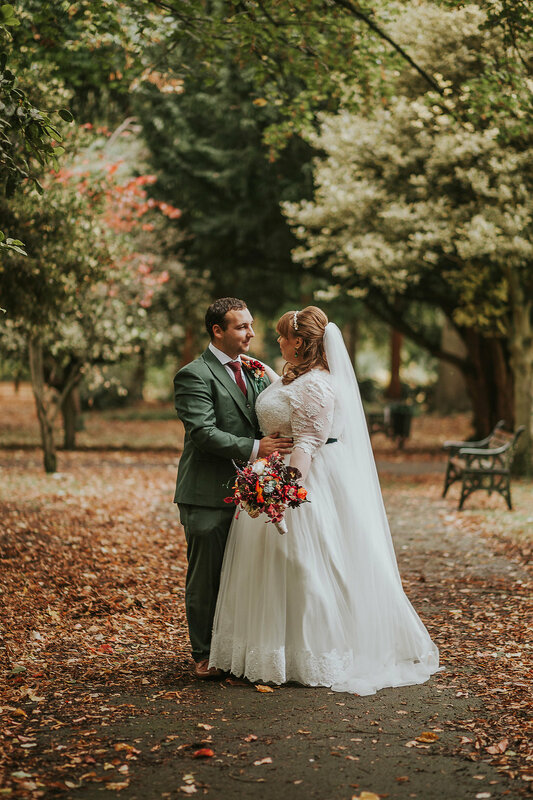 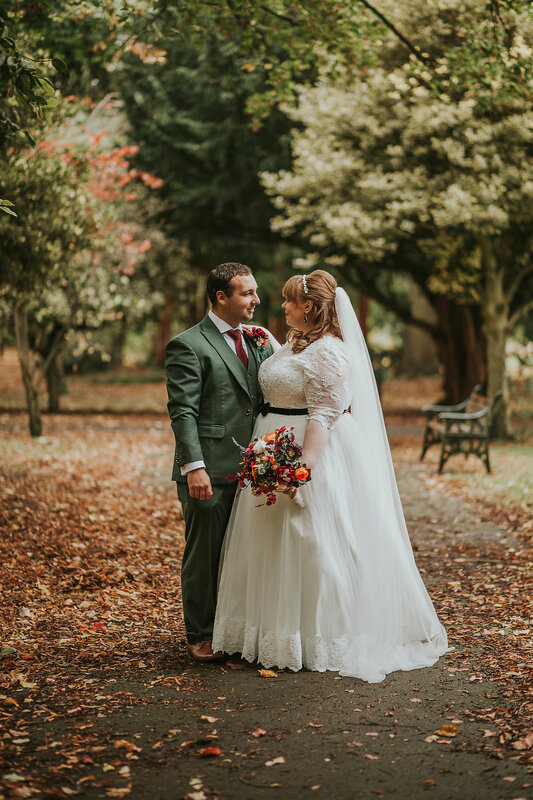 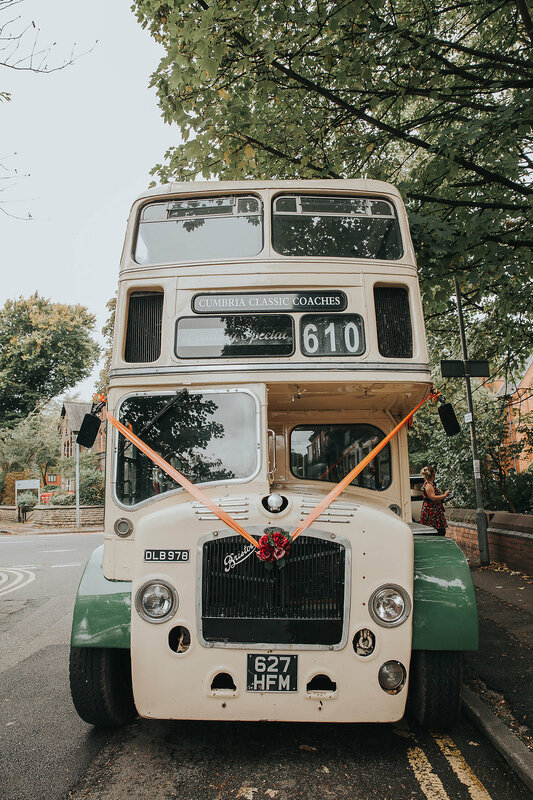 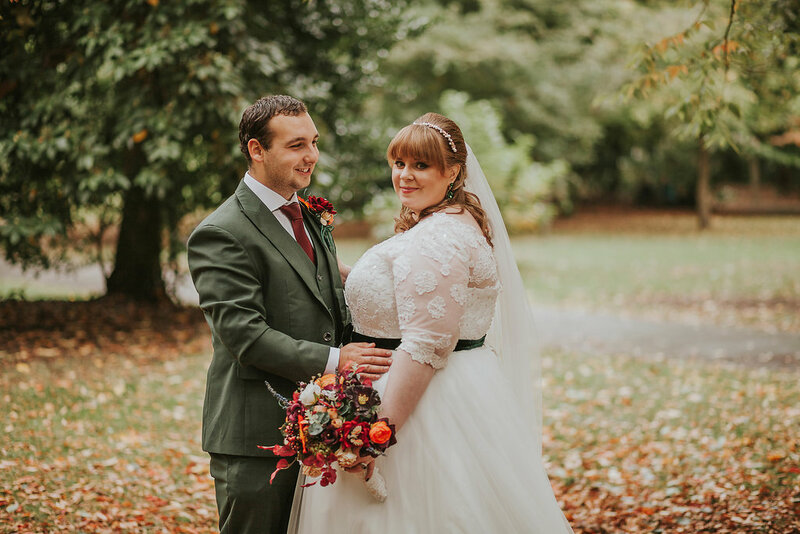 Thank you to Maddie for sharing this wonderful autumnal Wedding. 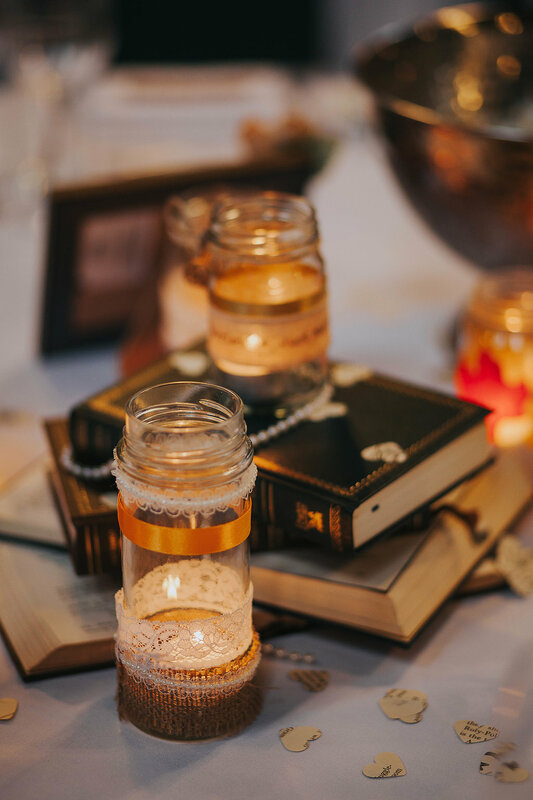 The styling is so creative with so much thought capturing the couples love of books.. 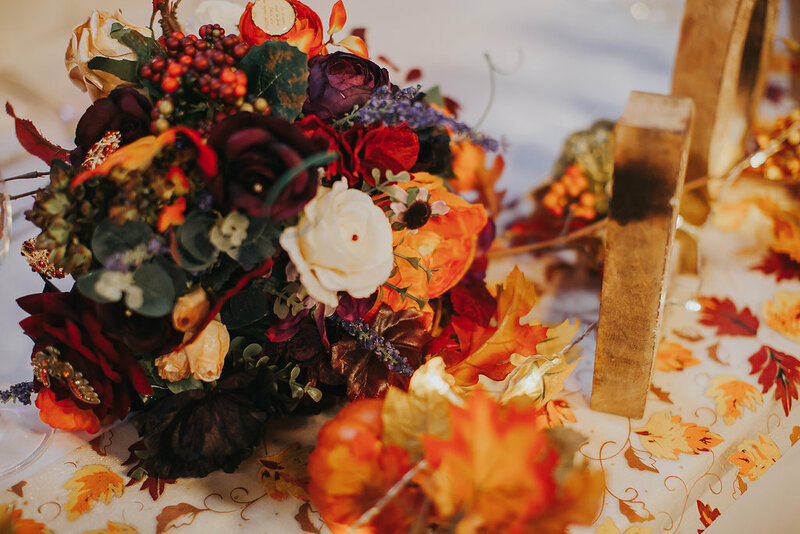 The colours of the season are absolutely beautiful and the rich yellows, oranges and reds flow seamlessly throughout the styling. 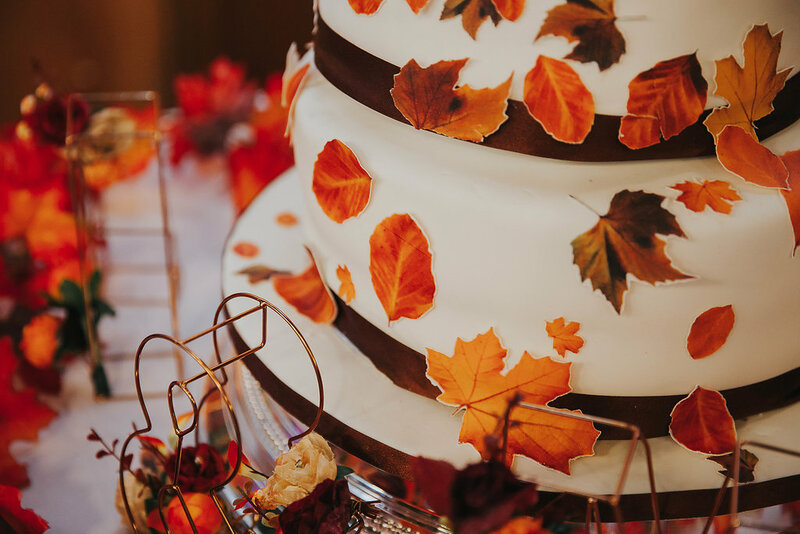 Cake Maker – Jeanette Vagg (family friend).